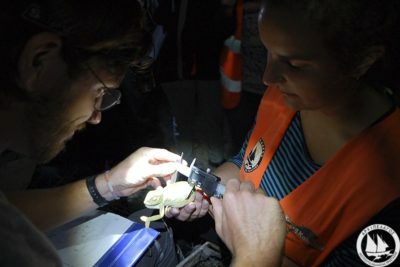 Εδώ και 16 χρόνια το Αρχιπέλαγος προσφέρει την ευκαιρία σε φοιτητές και νέους ερευνητές και επιστήμονες από όλο τον κόσμο, να αποκτήσουν διεπιστημονική εμπειρία στον τομέα της περιβαλλοντικής προστασίας, μέσα από δράσεις πρακτικής κατάρτισης (internships) και μαθήματα πεδίου (field courses). 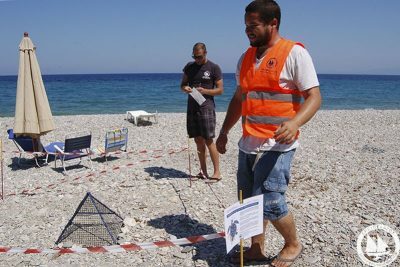 Από το 2001, περισσότεροι από 2,500 φοιτητές, νέοι ερευνητές και επιστήμονες από όλο τον κόσμο, έχουν στηρίξει το έργο του Αρχιπελάγους στο Αιγαίο! 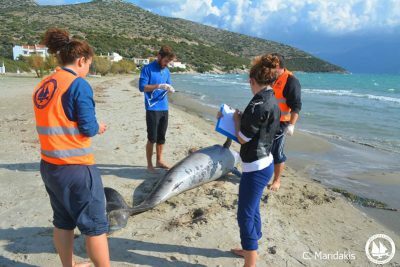 The eastern Aegean region is home to a large number of marine mammals which are classified either as at risk or data deficient. This habitat is in desperate need of protection, as it is subjected to a wide range of anthropogenic threats. 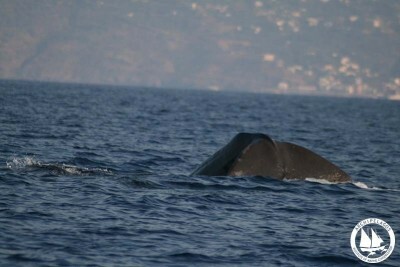 The aim of Archipelagos is to better understand and monitor the habitat structure and population dynamics of cetaceans around the eastern Aegean islands. 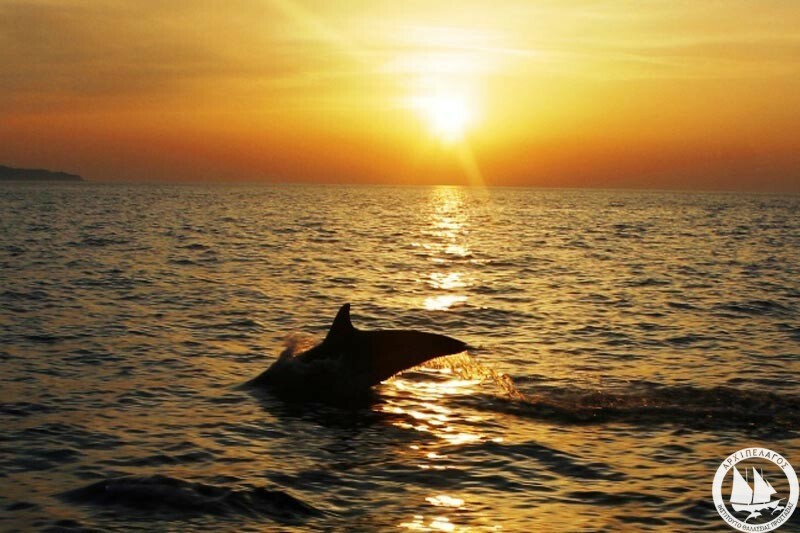 The ultimate goal is the implementation of “Marine Protected Areas” and supporting effective conservation actions and management policies in order to protect the cetacean and other species biodiversity. The Aegean, just like the whole Mediterranean Sea, is influenced by human activities such as shipping, tourism, unregulated fisheries practices and pollution, which threaten the survival of marine mammal populations. 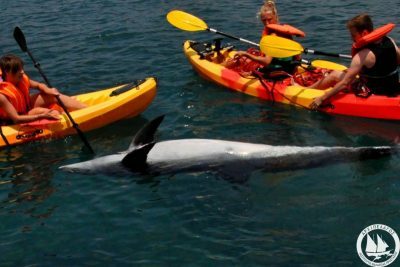 A vital sector of the eastern Aegean economy are the fisheries, which cause an unavoidable interaction between the marine mammals and the fishermen who are after the same prey. 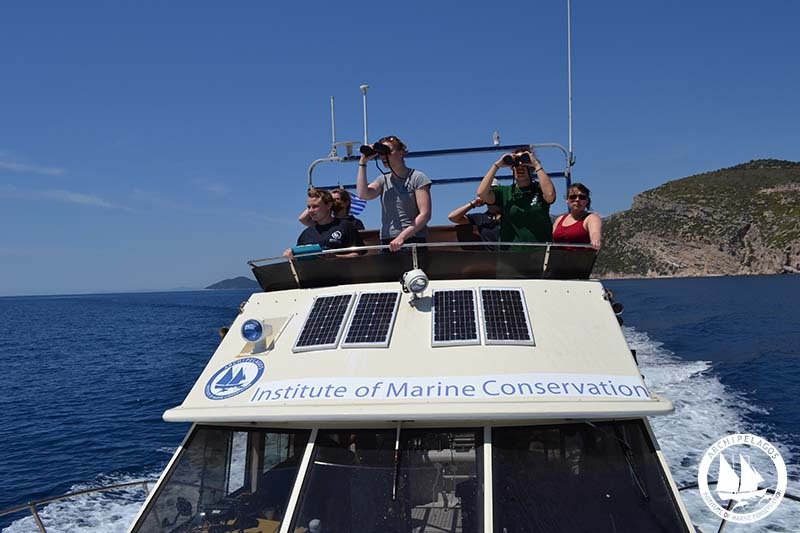 Monitoring the habitat use, abundance and distribution of cetaceans, Mediterrenean monk seals and sea turtles. Studying the population structure and its dynamics. Studying the behavior through visual and acoustic data. Investigating the impact of major threats, such as fishing and tourism, on the cetacean behavior. 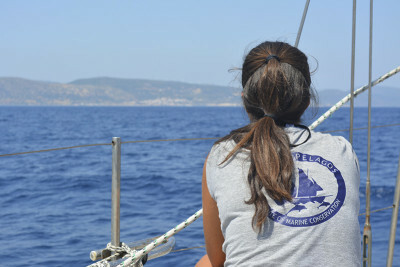 Conducting boat-based surveys to collect data on cetacean abundance, distribution and behavior. Conducting land-based surveys to collect data on cetacean behavior and distribution without interacting with them. 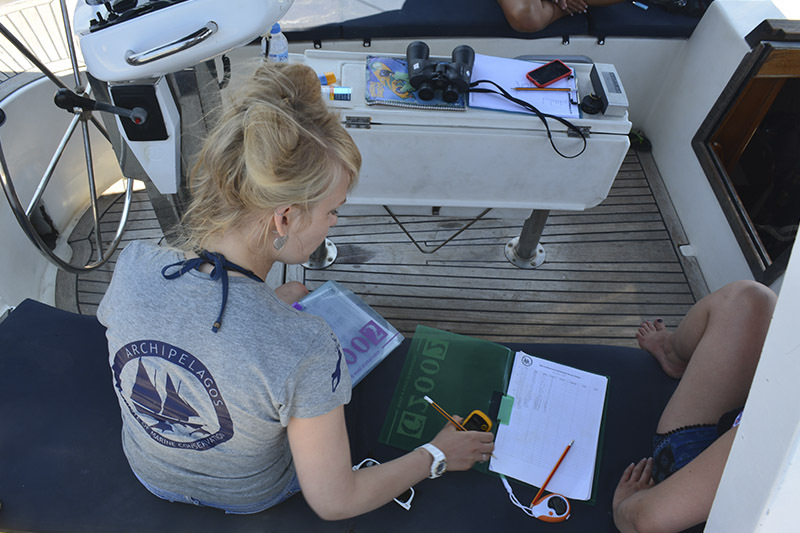 Collecting data about different types of marine vessels, their distance from the focal group, fishing activities and marine debris during the boat and land surveys. 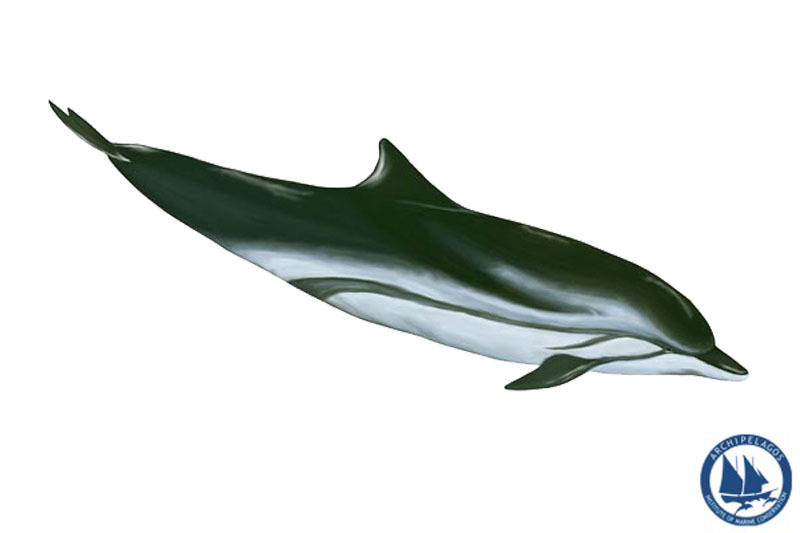 Assessing the populations of resident, transient and seasonal cetaceans through photo-ID. Developing an online photo-ID network. 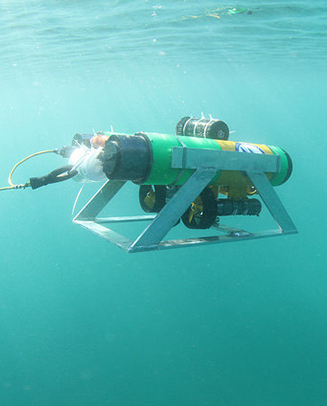 Using a hydrophone to collect acoustic data. Creating GIS maps to pinpoint critical habitats and understand the factors threatening them. 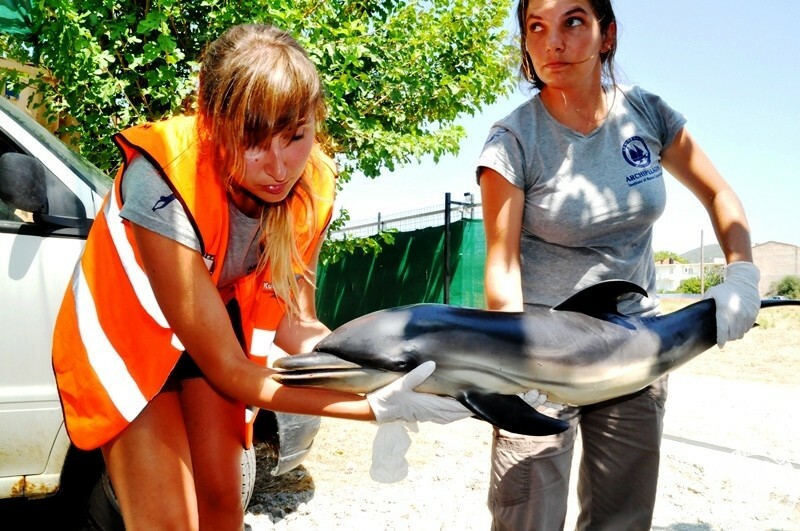 Delivering first aid to the animals, rescuing them, performing necropsies and collecting data related to stranded individuals (e.g. 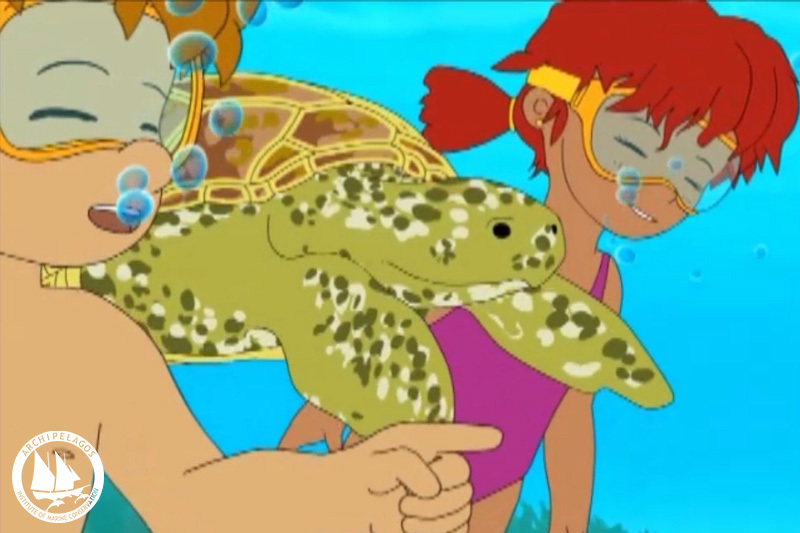 cetaceans, seals and sea turtles). 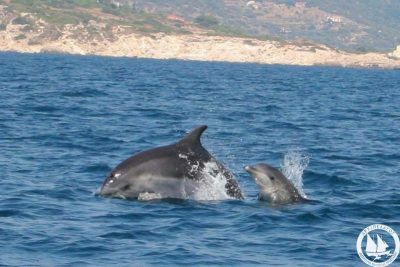 The monitoring of marine mammal populations focuses on the sea around Samos and extends to the islands of Ikaria, Fourni, Patmos, Arki and Lipsi. 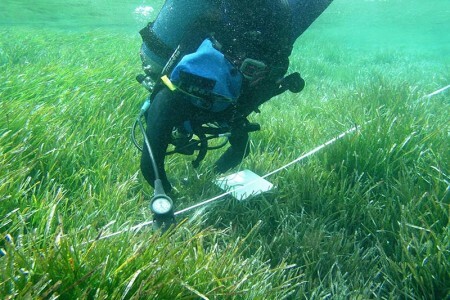 From the research base of Pythagorio in Samos, land based surveys are also conducted from a number of observational points in different parts of the island. 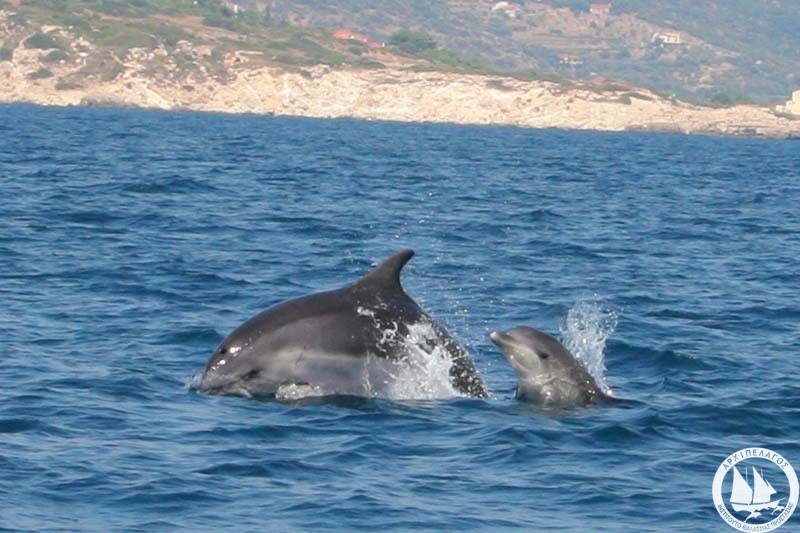 The boats used by Archipelagos to carry out marine mammal surveys are anchored in Samos Marina, a little port next to the main research base. Dolphin populations, including common dolphins, bottlenose dophins, striped dolphins and Risso’s dolphins. 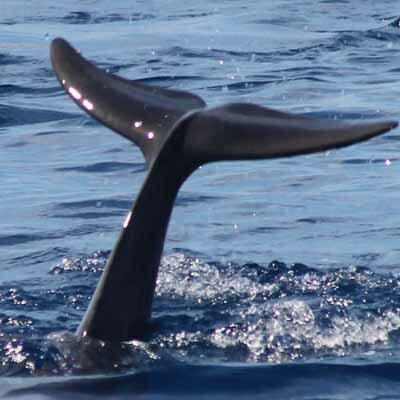 Whale populations - sperm whales, Cuvier’s beaked whales and occasionally fin whales. 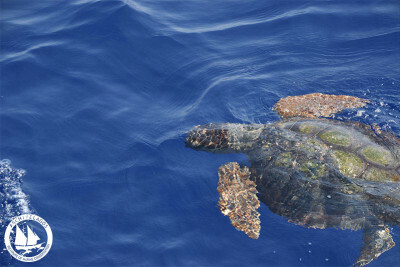 Sea turtle populations, including green turtles and loggerhead turtles. 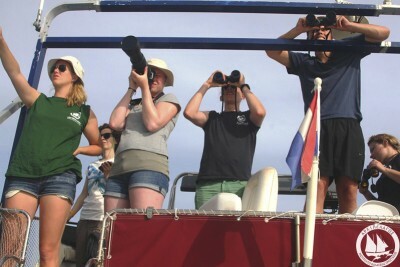 The main task of the marine mammal team is to monitor the study area through both land and boat-based surveys in order to analyze the abundance, distribution and behavior of marine mammals and turtles. 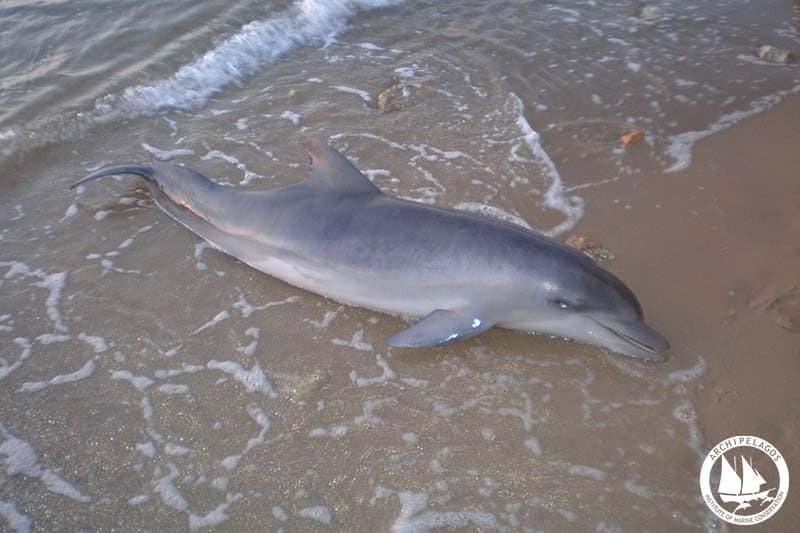 Data on various human impacts (marine vessels, fishing activity, debris) are also collected. During surveys, the team is responsible for behavioral data collection, photographing individuals and later cataloging the photograph. All these data are recorded and stored in a database at the main research base for later analysis. 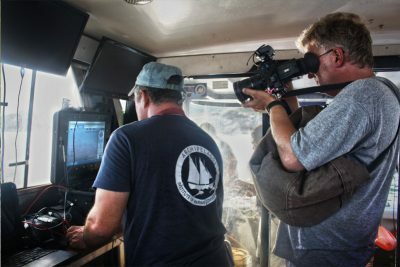 During marine mammal pods sightings, the Archipelagos marine mammal team gathers photographic material used for identifying individuals inhabiting the studied area. 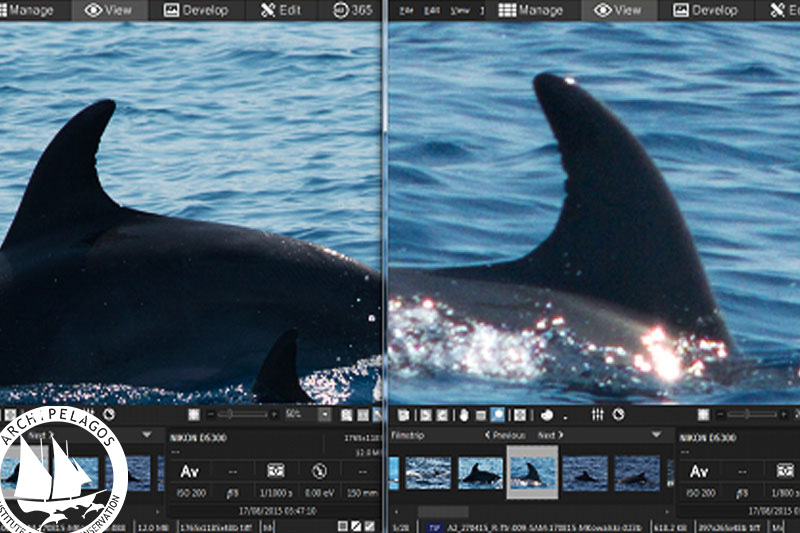 To facilitate this process, all pictures are sorted, cropped and named. The identification is done by comparing different morphological aspects of the body and fin, such as patches of color, shape, scars, nicks, notches etc. 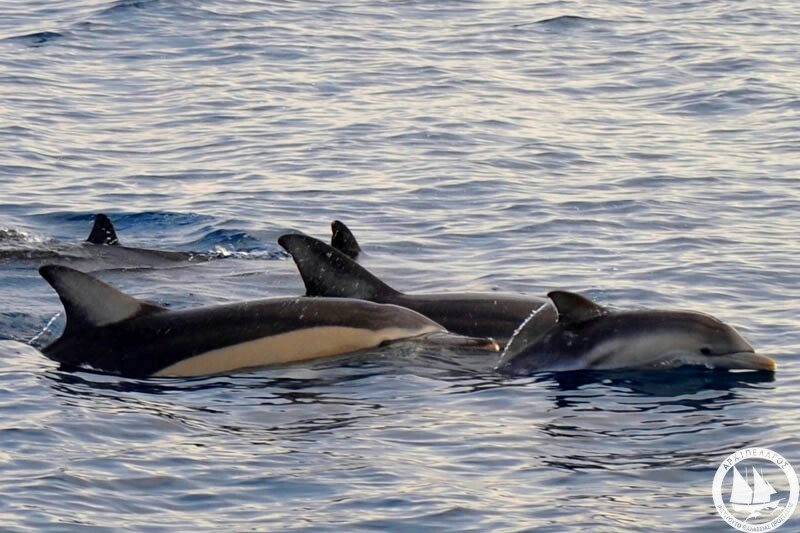 Once the individuals have been identified and classified, they are introduced into a photo-ID catalog which includes all the cetaceans spotted so far. As a result of this process, the team can get a better idea of the population size in the study area, compare it along the coming years and identify the social structure and residency pattern of target species. As a result of this process, the team can get a better idea of the size of the population in the studied area and compare it along the coming years. 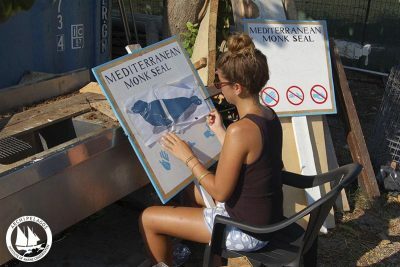 Mediterranean monk seals are considered to be the second most endangered marine mammals in the world. It is estimated that only 450 individuals remain. 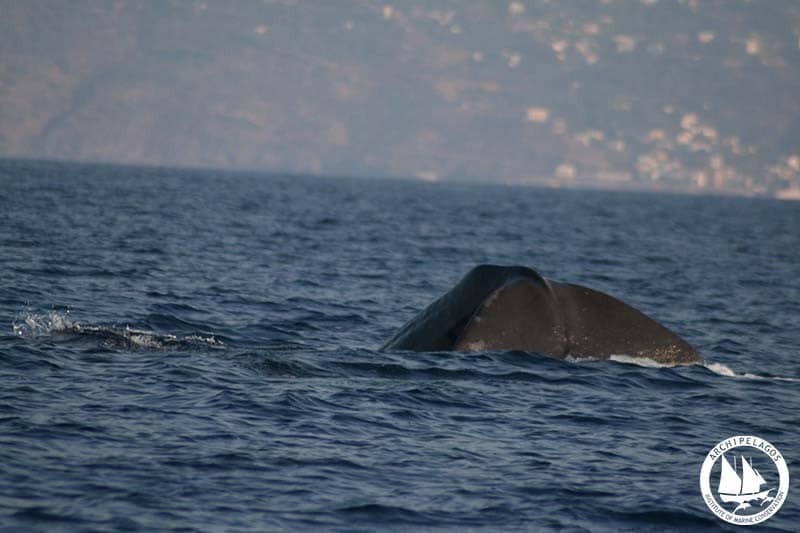 One of the most important surviving populations of the species resides along the Greek and Turkish coasts of the Aegean Sea. Research on monk seal population includes monitoring the nesting and feeding areas as well as assessing the interaction with fisheries. Since the spring of 2014, Archipelagos has been involved in daily monitoring and conservation of a young monk seal which displays a highly unusual behavior, approaching inhabited coastal areas and touristic beaches. 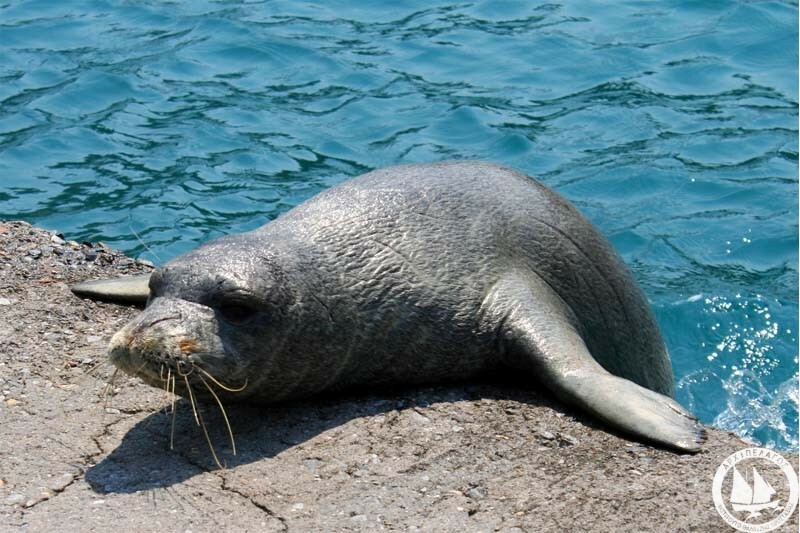 Archipelagos’ team works closely with the local community in a unique conservation effort to ensure the wellbeing of this special seal pup and facilitate her reintroduction to the natural environment. 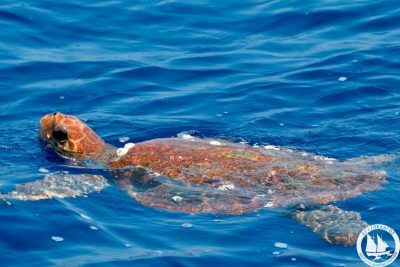 In the eastern Aegean, there are no extensive nesting beaches for turtles. 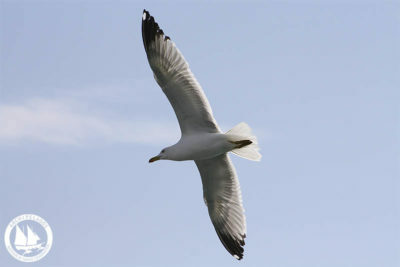 However, numerous sites can be found on the island every summer. At the same time, rich feeding areas are abundant in the region, therefore, turtle encounters occur year round. Archipelagos’ turtle monitoring project includes various activities ranging from observation at sea, monitoring the nests, administering first aid to injured turtles and performing necropsies of turtles found dead in the region. 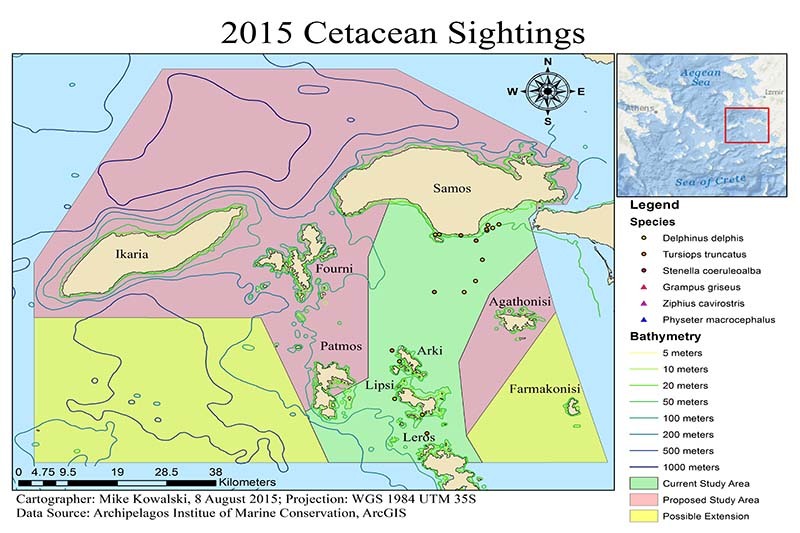 The marine mammal team utilizes ArcMap GIS for mapping the populations of species found in the Aegean Sea. 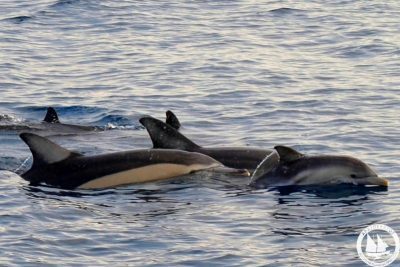 By applying the data collected during surveys and fieldwork, we can show the distribution and abundance of different species, as well as hot spots and migration patterns in the sea. 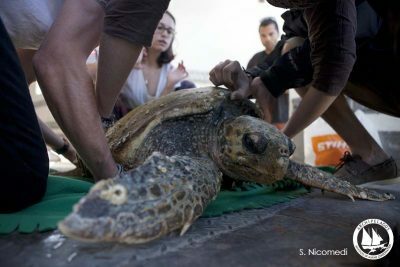 Archipelagos’ team takes part in rescuing stranded marine mammals and turtles when such incidents occur in the study area. After being notified of a stranding, the team members assess the situation and provide first aid in order to improve the health of the animal. If the individual is already dead, necropsy is carried out to determine the cause of death and to collect samples for analyses (for example toxicological, DNA and stomach content). Through this work, we can gain a better understanding of the factors that threaten the populations of these charismatic animals and take actions that will efficiently protect them. 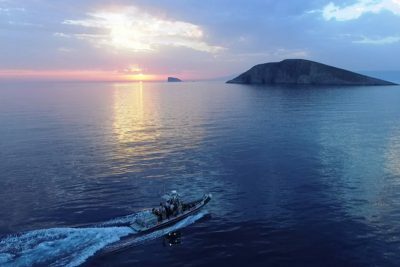 With over 18,000 km of coastline and one of the largest fishing fleets in Europe, the monitoring of marine activities in Greece is not a simple task. The Aegean Sea supports exceptional biodiversity, including rare and protected marine habitats and species. 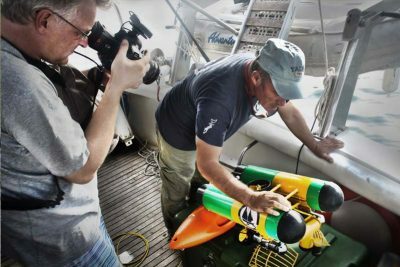 For over a decade, Archipelagos has been collecting data and monitoring important ecosystems of the region, assessing habitats and populations as well as the different factors impacting them. 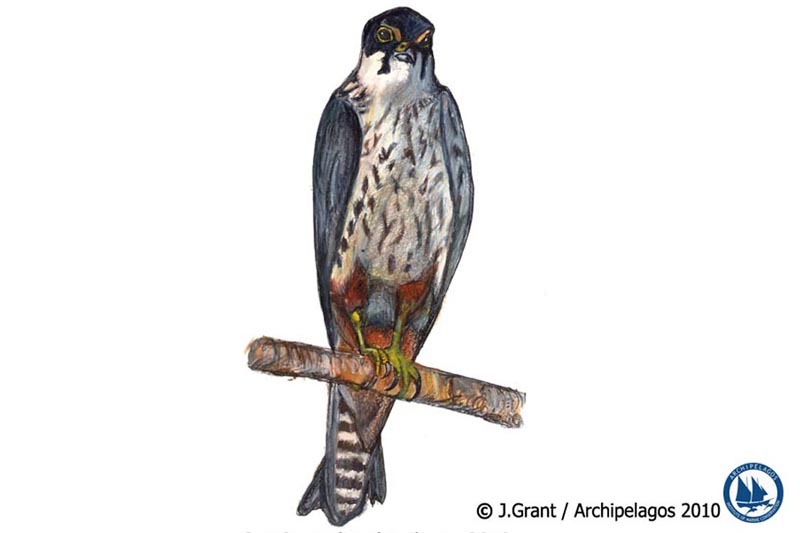 Knowledge acquired in this way enables us to develop successful, targeted management and conservation plans. 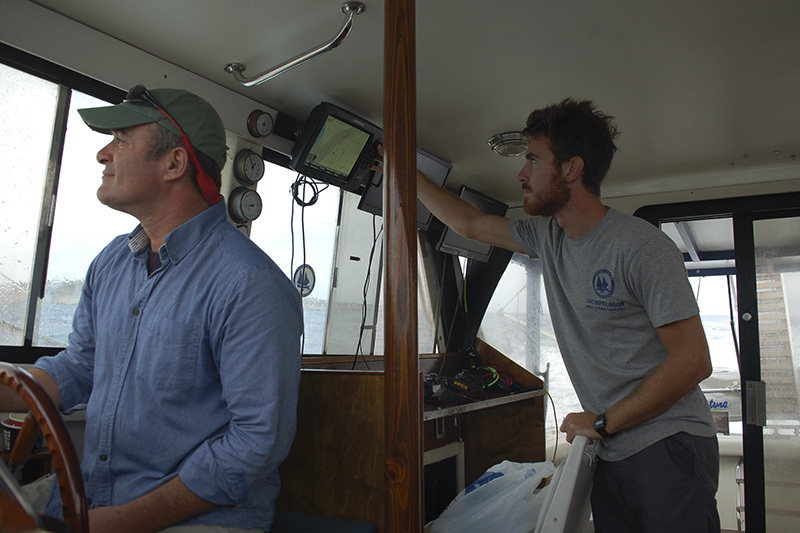 Recording the landings of artisanal fisheries’ fleets. Correlating catch data versus temperature data originating from loggers installed on fishermen’s gear. 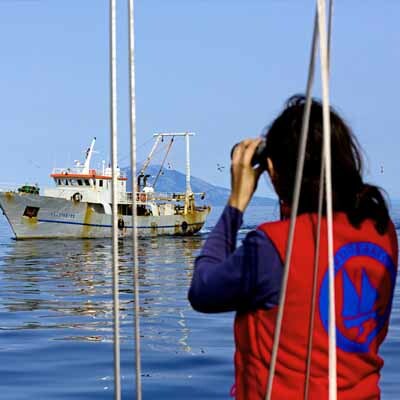 Conducting questionnaire-based surveys to collect information about fisheries in the area, such as gear used, effort per catch, differences in catches over time and other historical data. 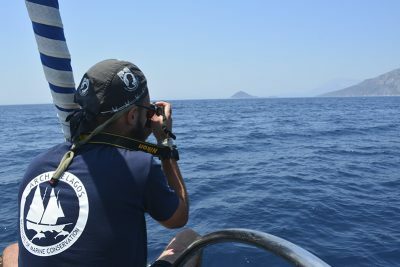 Researching and recording Illegal, Unregulated and Unreported (IUU) fisheries in the Greek waters. 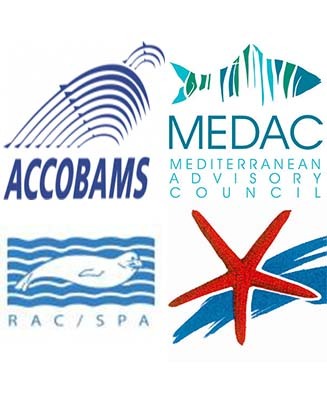 Work related to the development and assessment of successful fisheries management measures. 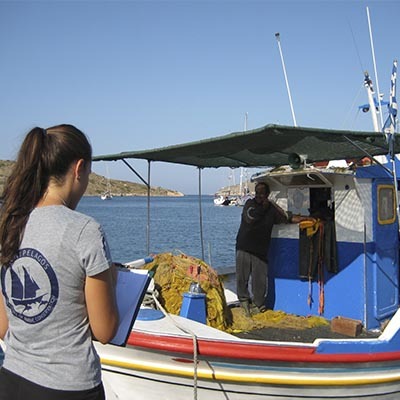 Working on the establishment of the first “fisheries co-managed area” in Greece. 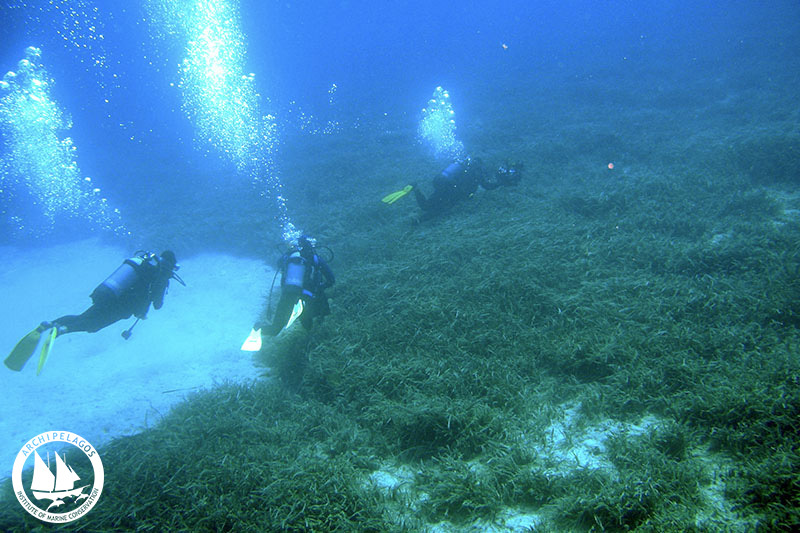 Posidonia oceanica seagrass meadows play an important role in the ecosystem and provide important services for humans. They ensure the maintenance of physical, chemical and biological conditions and provide a habitat for many different species, while acting as nursery, hunting and predator areas. Furthermore, the meadows mediate flow and prevent coastal erosion by stabilizing the seabeds and decreasing the water power and current. P. oceanica meadows are identified as a priority habitat type for conservation in the Habitats Directive (Dir. 92/43/CEE) by European and national legislation. 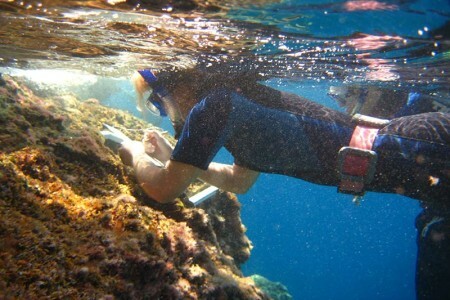 Participatory GIS surveys and boat-based surveys with the use of a cartographic camera, structure scanner and an ROV. 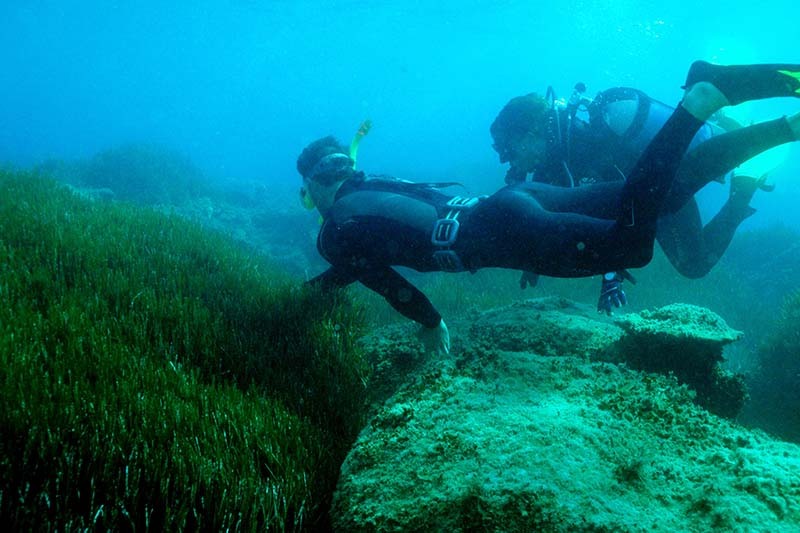 Creating a map of coralligenous reefs in the eastern Aegean. 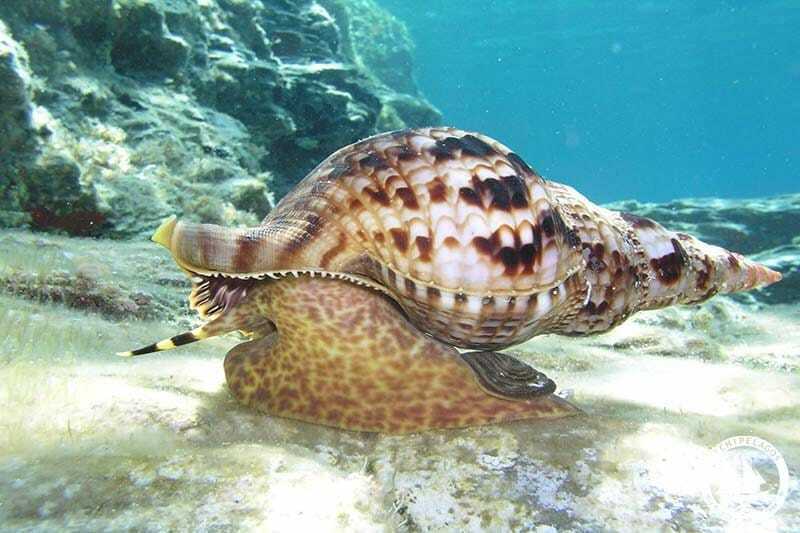 Fishermen and scientists have observed an increased influx of invasive species into the Aegean Sea that originates from both the Red Sea and from ballast waters of cargo ships. 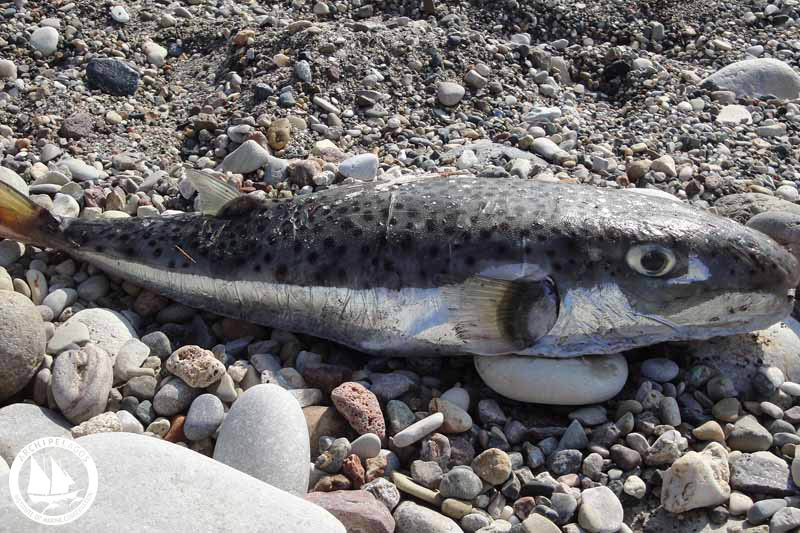 This sometimes causes important ecosystem changes, affecting both habitats and fisheries’ production. 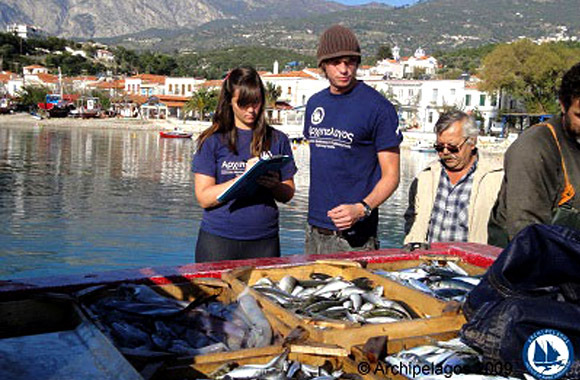 Aiming to understand the extent of the problem in the Aegean, Archipelagos monitors the biodiversity of shallow, littoral zone ecosystems of the eastern Aegean Sea as well as the interaction of invasive species within the coastal zone ecosystems and fisheries landings. The data collected enables us to get an understanding of local conditions, ecosystem changes, processes and threats. Projects have a wide range of focus, including:. 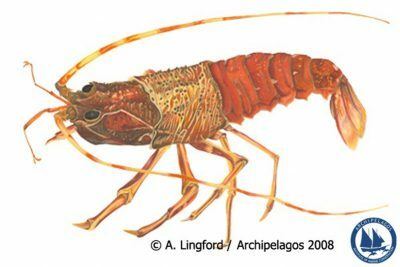 The collection of data regarding invasive species via underwater visual census (UVC) surveys, questionnaires and recordings of fisheries’ landings. The creation of GIS maps which provide an overview of alien species distribution. Assessing and analyzing the shipping risk. Analyzing the impact of aquaculture on coastal habitats and the accuracy of existing EIAs. Collecting preliminary data to identify the impacts on biodiversity caused by different aquaculture practices and creating models of more sustainable approaches to aquaculture. 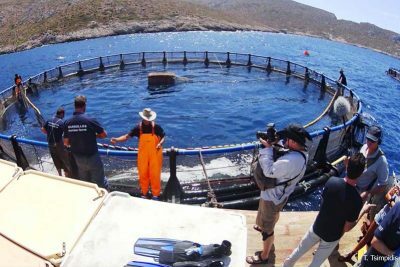 Cooperating with a medium sized aquaculture company on Leros island to modify its practices in order to create an eco-friendly model that respects the carrying capacity of the area. 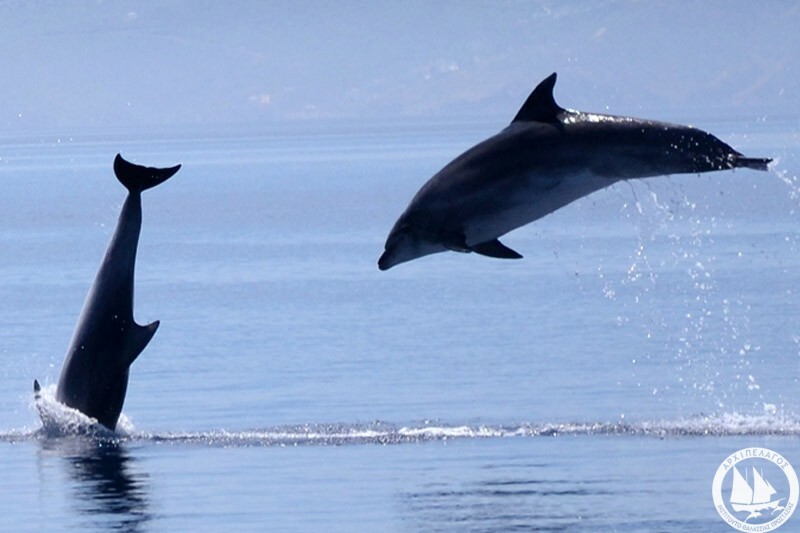 The islands of the eastern Aegean are home to a rich biodiversity of flora and fauna. Thick pine forests, dense oak woods and green riparian valleys linked to rare island freshwater ecosystems can be found here, alongside garrigue and maquis types of vegetation. Samos is the only island in the Mediterranean where golden jackals can be found and the only place in Greece where Mediterranean chameleons still survive. 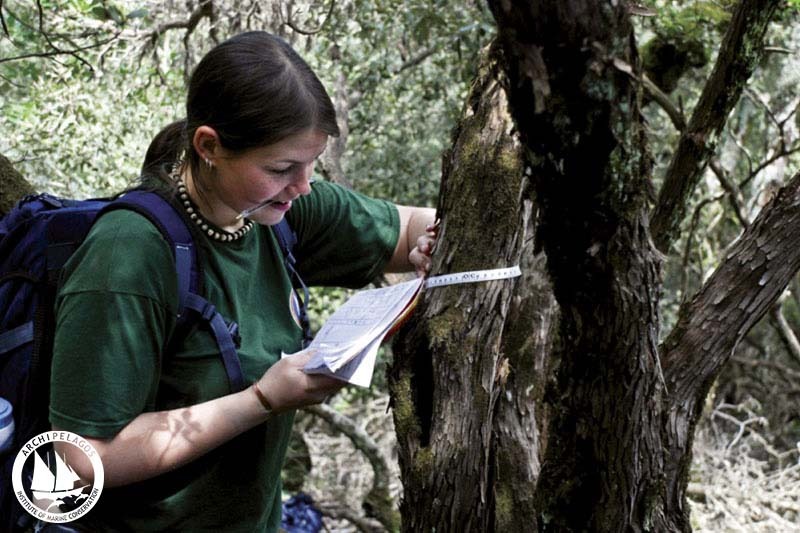 The island of Ikaria supports an ancient holm oak forest, which is more than 500 years old. The surrounding islands and islets are important transit stations, feeding grounds and breeding spots for a large number of protected birds, including flamingos, Eleonora’s falcons and Audouin’s gulls. 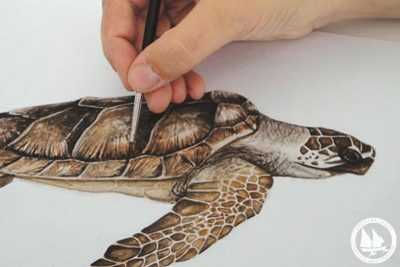 Archipelagos initiated its actions with focus on marine research and conservation, but the field of action gradually expanded to cover the terrestrial island habitats, which are also of great environmental importance. Both marine and terrestrial ecosystems are integral parts of a unified system and effective protection can only be achieved if we treat them as a whole. Rare wetland habitats: the protected Alyki salt marsh, Mesokampos salt marsh and Potokaki pools in the southeastern part of Samos. Internationally important and protected bird species: greater flamingo, ruddy shelduck, Eleonora’s falcon, Audouin’s gull, Scopoli’s shearwater etc. 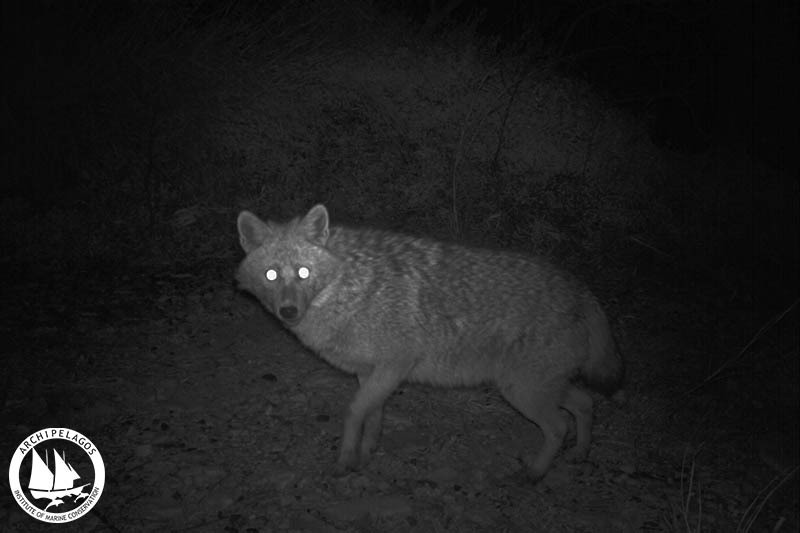 Mammals: golden jackals, wild boars, beech martens, weasels, hares and small rodents. 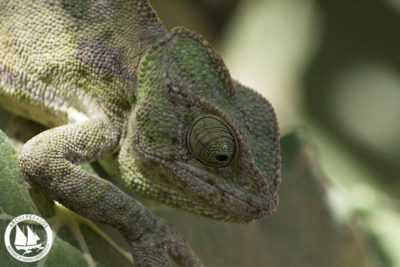 Reptiles and amphibians: Mediterranean chameleons,Caspian whip snakes, Balkan terrapins, tree frogs and numerous other species. 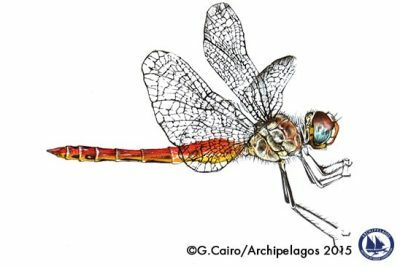 Insects: dragonflies, butterflies, moths and beetles, as well as other brackish and freshwater species. Plants: ancient trees, orchids, marshland flora and endemic plant species. 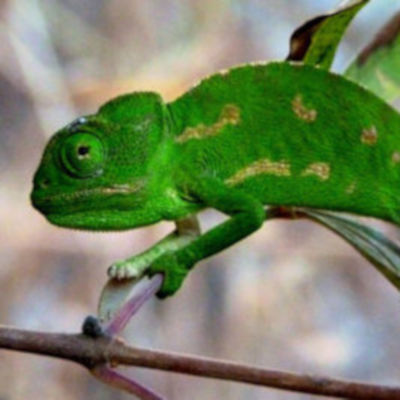 Samos is the only part of Greece which still supports an established population of the Mediterranean chameleon (Chamaeleo chamaeleon). However, threats to this fragile population are increasing drastically due to anthropogenic factors. 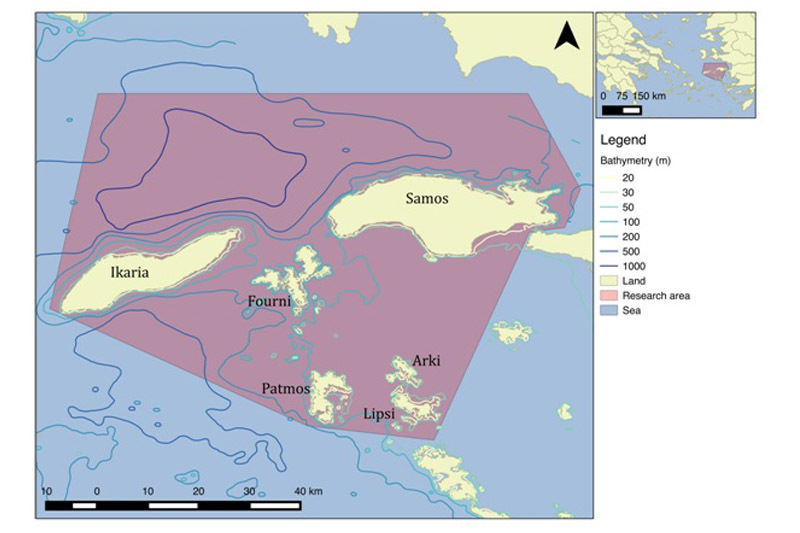 Samos is the only Mediterranean island that still supports an established population of the golden jackal (Canis aureus). However, their presence in and around the Samos International Airport (SMI) has given way to an increased risk of jackal / aircraft collision. 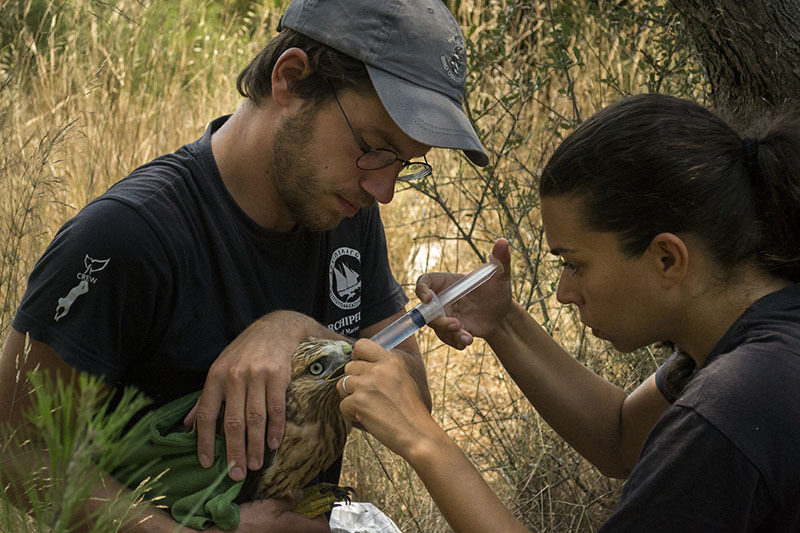 The small islands of the eastern Aegean are crucial feeding, breeding and wintering grounds for a large number of rare and protected bird species. More than 200 species have been reported on Samos up to this point, constituting up to 50% of all bird species found in Greece. Background: The islands of the eastern Aegean are home to a rich flora biodiversity, yet our knowledge of these species is still limited. 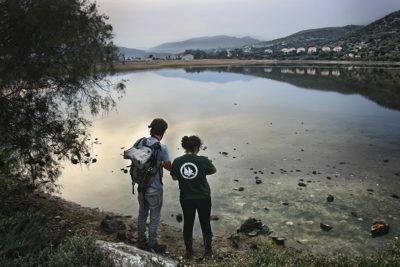 The unique environment of Samos allows for a great assortment of over 1500 plants species that cannot be found on any other Mediterranean island, while Ikaria island supports a unique island ancient forests with Holm oak trees that can exceed 500 years old. Unfortunately, these extraordinary flora biodiversity is threatened by numerous factors such as overgrazing, wildfires, logging and diseases. 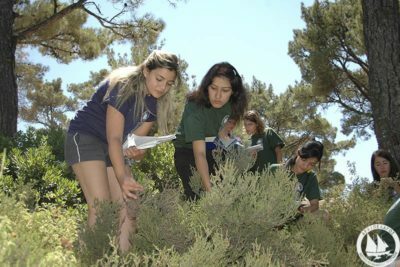 Locating and identifying ancient trees across Samos, Ikaria and other islands of the eastern Aegean. Determining the age of the specimen by measuring trunks and taking bark samples. Surveying transects and analyzing sound files recorded. Visiting caves to identify species. Mist netting for species identifications. 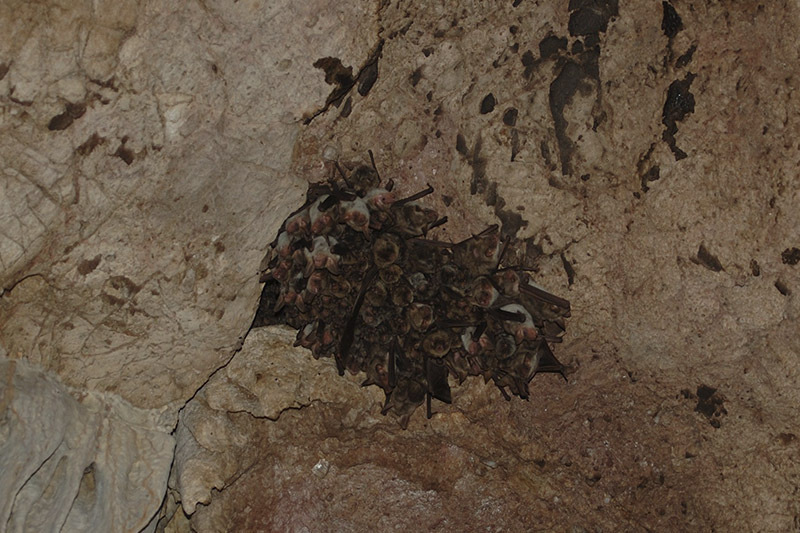 Assessing the impact of wind farms on local bat populations. 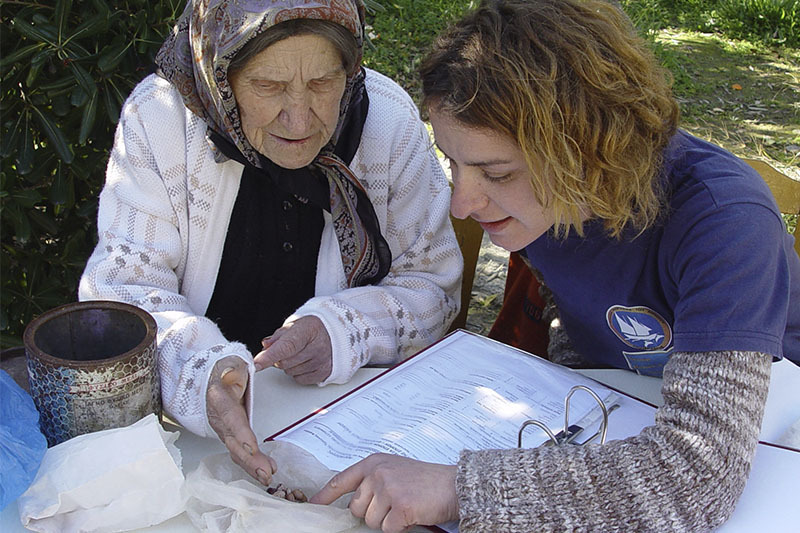 Research into traditional agricultural farming techniques practiced by local communities on the Aegean islands. 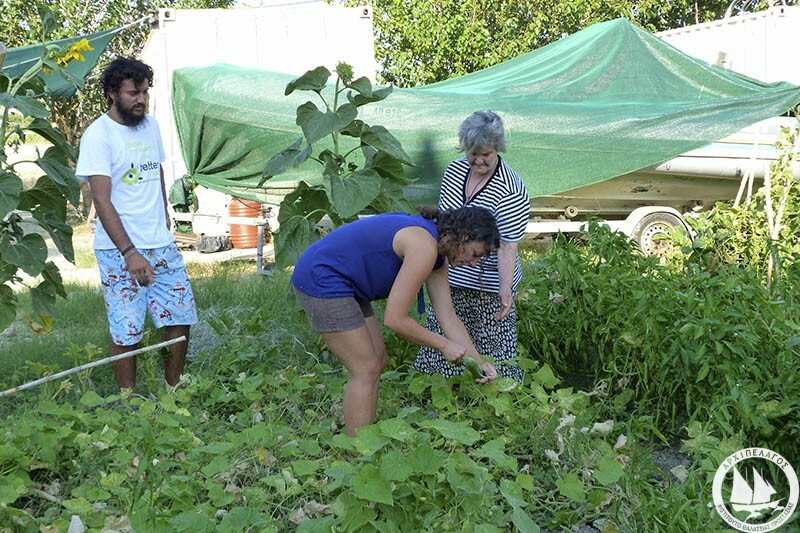 Experimental application of these practices as well as organic farming techniques. Collection, classification and analysis of local seed varieties preserved in the Aegean Seed Bank. 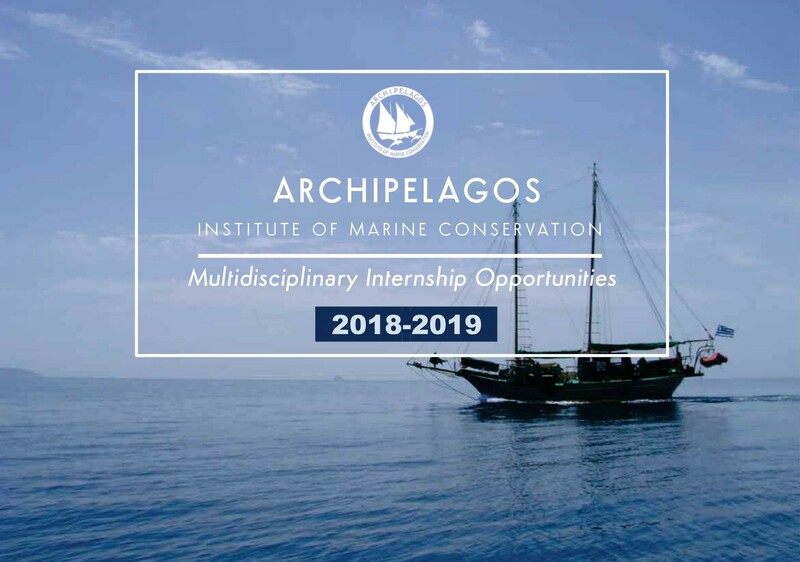 One of the main efforts of Archipelagos has been the establishment of the first non-governmental, non-profit, independent laboratory in Greece. 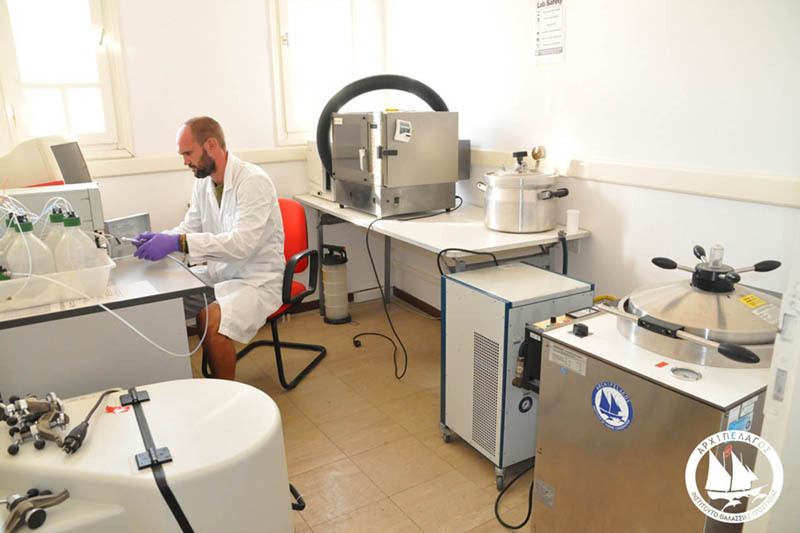 The Archipelagos laboratory facilitates studies which detect and analyze potential sources of pollution harmful for marine and terrestrial ecosystems. Such contamination can also damage the health of people who live on the islands and in the coastal regions of the eastern Mediterranean. 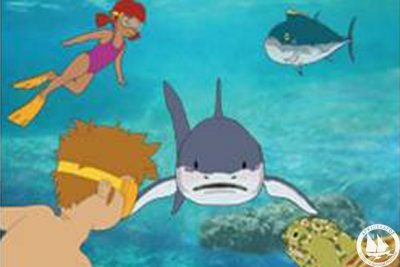 The Archipelagos laboratory offers local communities the analysis of drinking water, swimming water and soil quality free of charge. Analyses are being performed with the aim of detecting pesticide residues in plant tissues, final products (e.g. wine and oil), as well as in soil samples. Potential microbial contamination of vegetables is also being assessed. 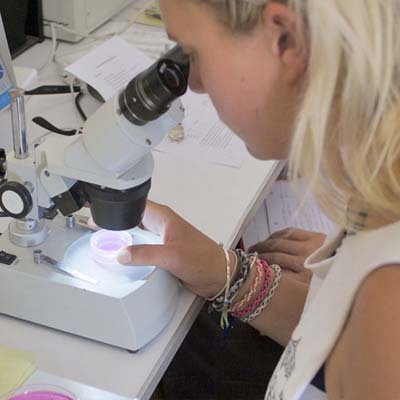 Other analyses include determining the pharmacological potential of marine organisms. 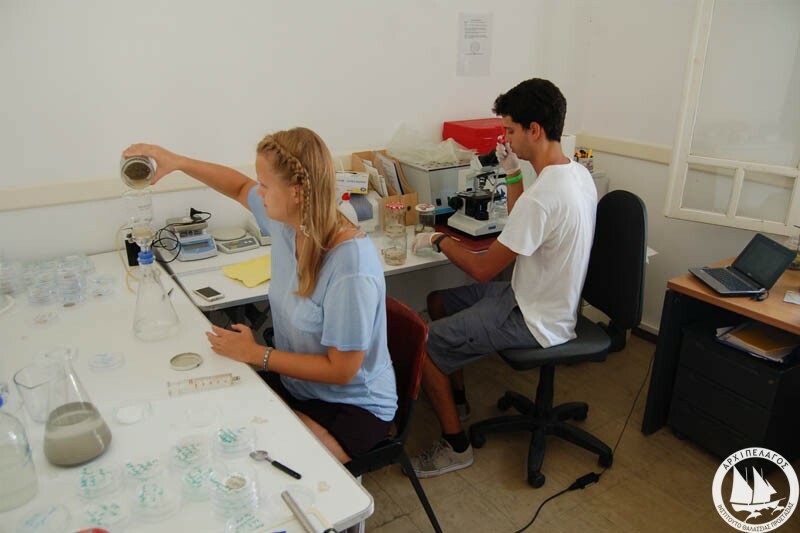 The Archipelagos laboratory is located in the Archipelagos research base on Samos and a smaller lab unit operates in the Archipelagos research base on Ikaria. 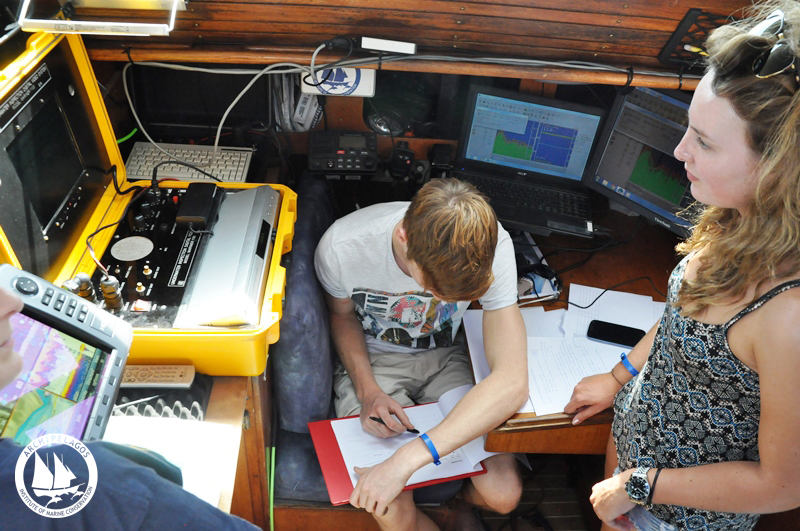 In addition, an onboard lab is currently being developed on the Archipelagos research boat, Pinelopi. 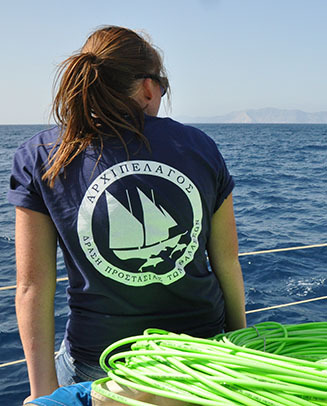 The on-board lab will facilitate water analyses in various parts of the Greek seas during Archipelagos’ research expeditions. Marine debris is everywhere in our seas, in the form of large or small fragments or as microplastics fibers. It has been detected in all of our oceans and seas worldwide, as well as on six continents from the poles to the equator. Traveling on a ship thousands of miles from lands you can find floating pieces of plastic, which break down into invisible microplastics. 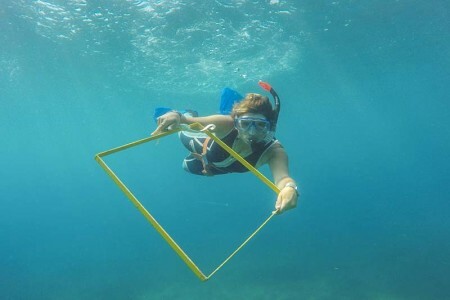 According to a report by the United Nations, it is estimated that in every square kilometer of the ocean there are approximately 13,000 pieces of plastic. The issue of microplastics pollution is similar to that of climate change, in the sense that it is an invisible problem that is easily neglected by the authorities and the public, but it is an issue bequeathed to future generations. Not only the food chain, but also water sources can hold microplastics for very long periods, possibly for centuries. Plastic is everywhere around us: in plastic bags, bottles, toys, screw caps, packaging etc. In 2012 the global plastic production exceeded 280 million tons. Of these only 1% was recycled and it is estimated that only 50% of plastic waste ends up in landfills. The rest is dispersed in the environment, directly or indirectly, and as a result, plastics are one of the main polluters of the world’s waters today. 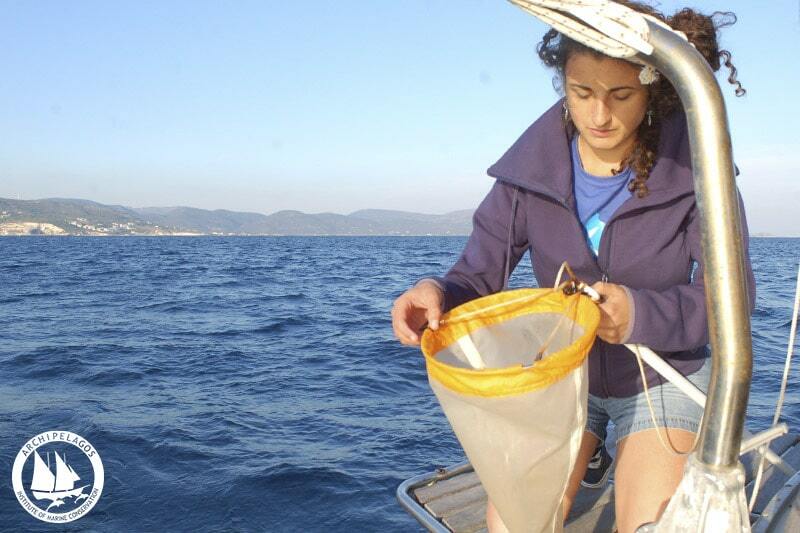 Archipelagos Institute of Marine Conservation, in 2009, was the first organisation in Greece to initiate research assessing the extent of microplastics distribution. The research illustrated the scale of the problem and the results were shocking. 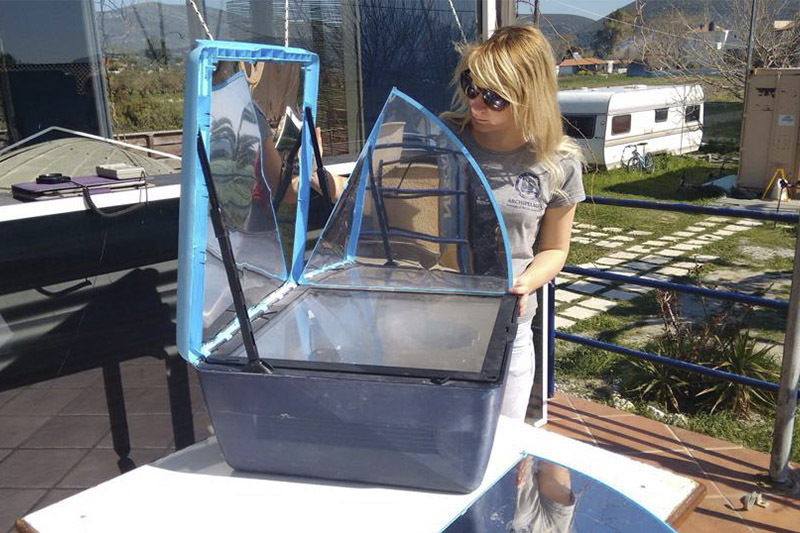 Analysing more than 1000 samples from 167 beaches of the Greek coast, every sample contained microplastic fibers. 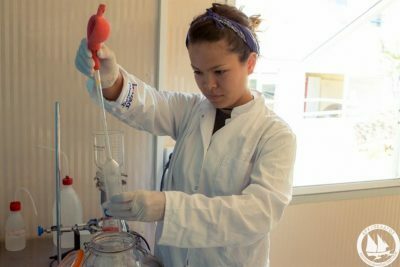 Samples from remote islands and uninhabited areas were found to contain microplastics fibers in an amount equivalent to the beaches of Athens. 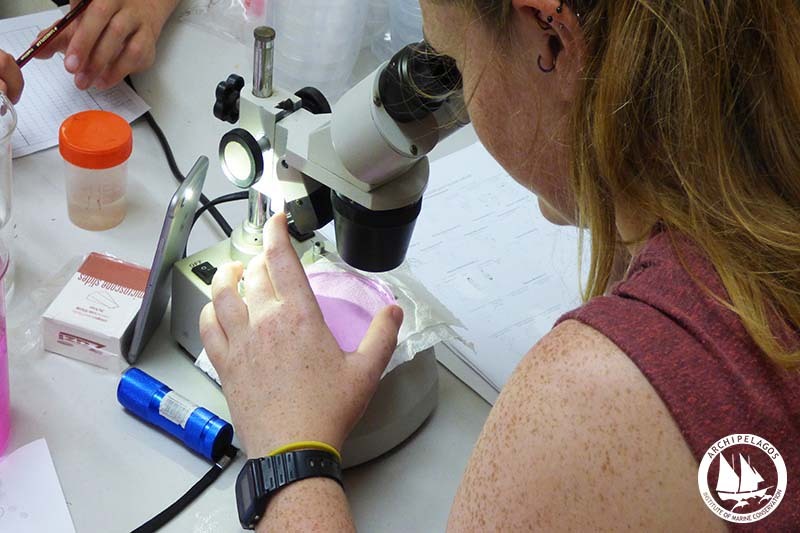 Further analysis carried out to date shows that almost 100% of fish and marine invertebrates examined (such as sponges and sea cucumbers) contained microplastics fibers in their stomachs. 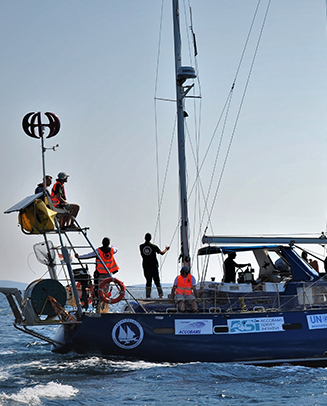 The goal of Archipelagos is to identify the main source of influx of microplastics into the Aegean and verify whether they are indeed traveling through the food chain, from plankton to humans. The findings of this research will be used for awareness campaigns. 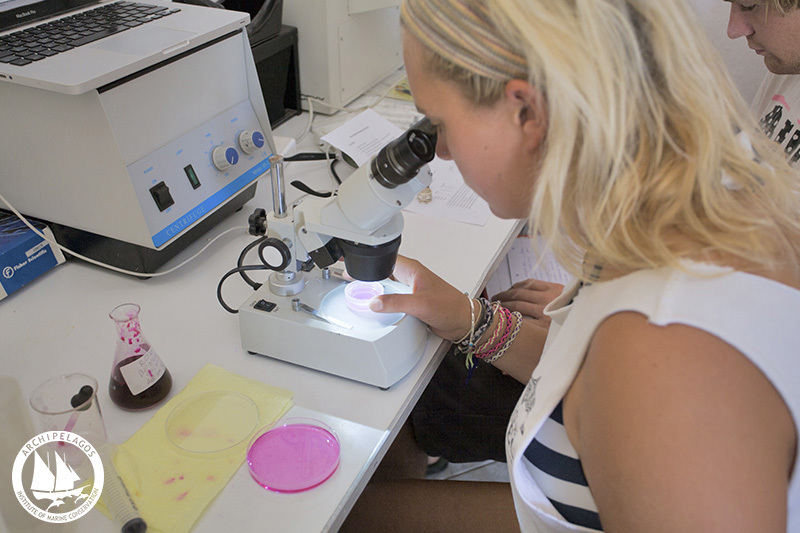 The Archipelagos laboratory analyzes both marine and freshwater samples, defining the content of microbes, nutrients and other chemical compounds. The aim is to assess the safety of local potable water, groundwater and swimming water in order to protect human health as well as the environment. 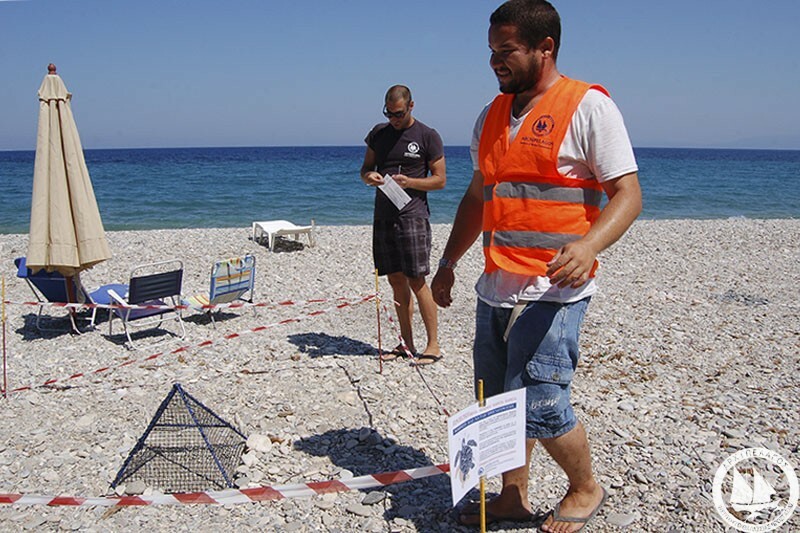 When contamination is detected, Archipelagos informs and collaborates with communities as well as relevant authorities (local, national and/or EU) for the development and application of appropriate measures. All of the techniques used in the Archipelagos laboratory are certified and produce scientific, reliable results. Further analyses which require resources beyond these currently available at the Archipelagos laboratory are undertaken at partner university laboratories. 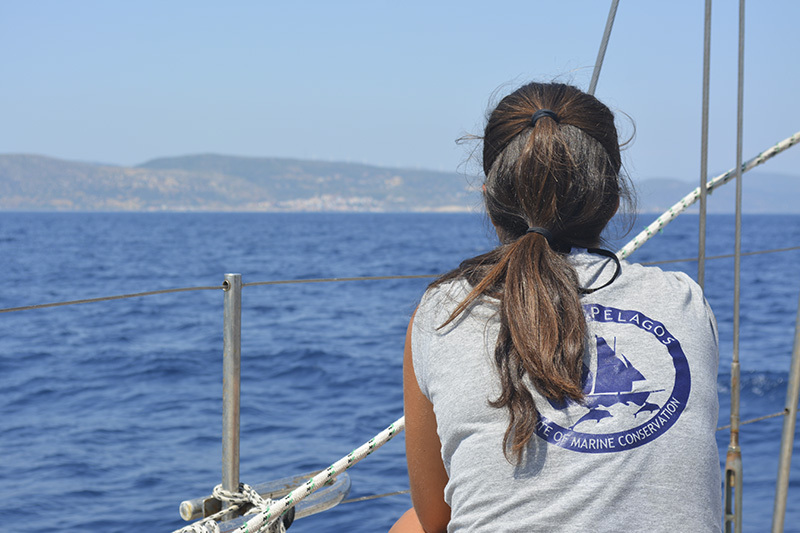 Archipelagos provides analyses of drinking water on various islands of the Aegean, focusing especially on the islands where the local authorities do not conduct regular monitoring. In most places drinking water can originate from different sources, hence the risk of pollution caused by nearby anthropogenic activities and natural rock erosion. 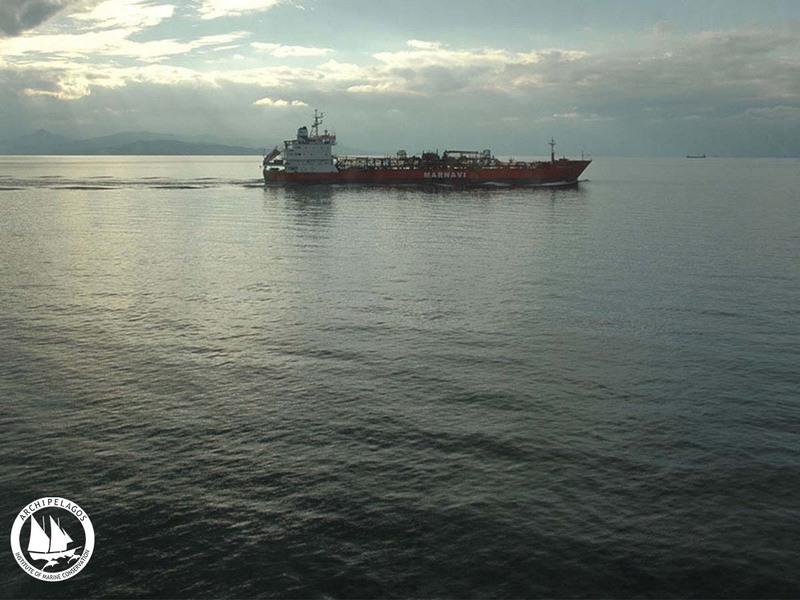 On small islets and islands of the Aegean, where the water resources are limited and potable water is transported to people via water tankers, the quality of the water can differ with each shipment delivered. 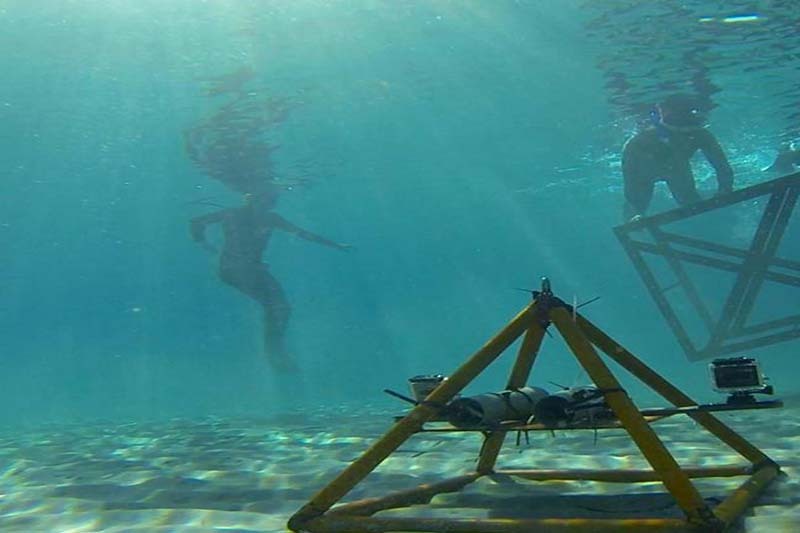 The Archipelagos laboratory provides local island communities with water quality analyses in order to ensure that they have free, safe access to drinking water. 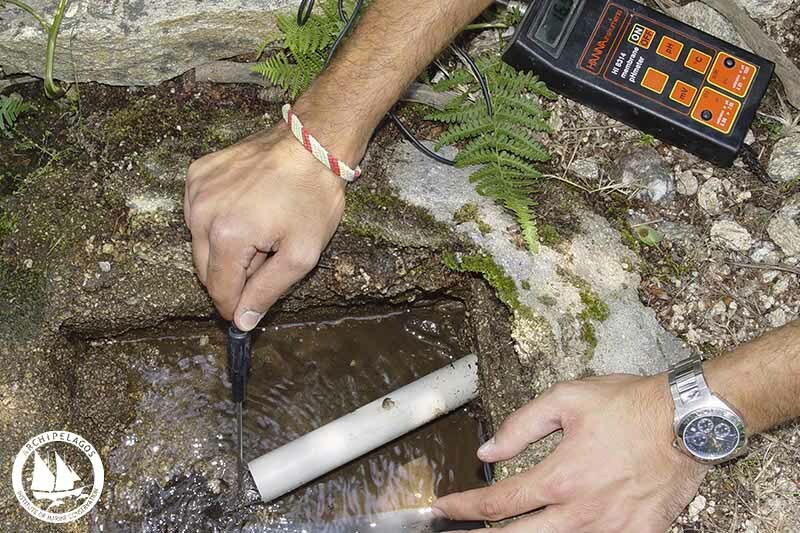 In addition, Archipelagos tests the water in regions where the contamination of groundwater is possible. When sources of pollution are detected, Archipelagos collaborates with local, national and EU authorities in order to eliminate them. 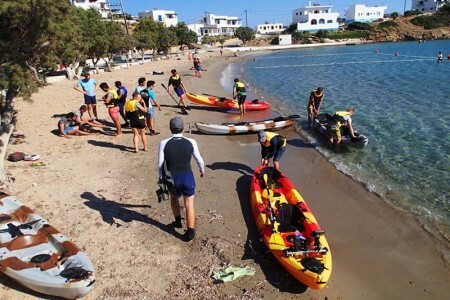 The Archipelagos laboratory supplies data on swimming water quality at various beaches and informs local authorities, communities and visitors whether the waters are safe for them and their children to swim in or not. 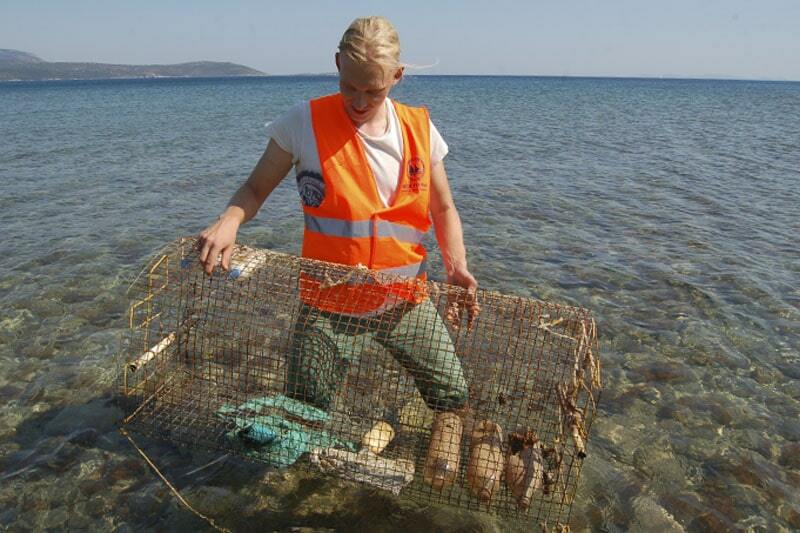 In many places around the Greek coastline, such samples are not regularly collected by the national authorities. Even when these tests are conducted, the results are not shared with the local communities. Our chemical water analyses are carried out using the photometric method (certification ISO 9001: 2000) and a digital arsenator (certification ISO 9001: 2000). The microbiological analyses are also carried out (IDEXX Colilert-18/ Quanti-Tray®: ISO 9308-3 (E. coli). Growing healthy and productive crops requires good soil quality. 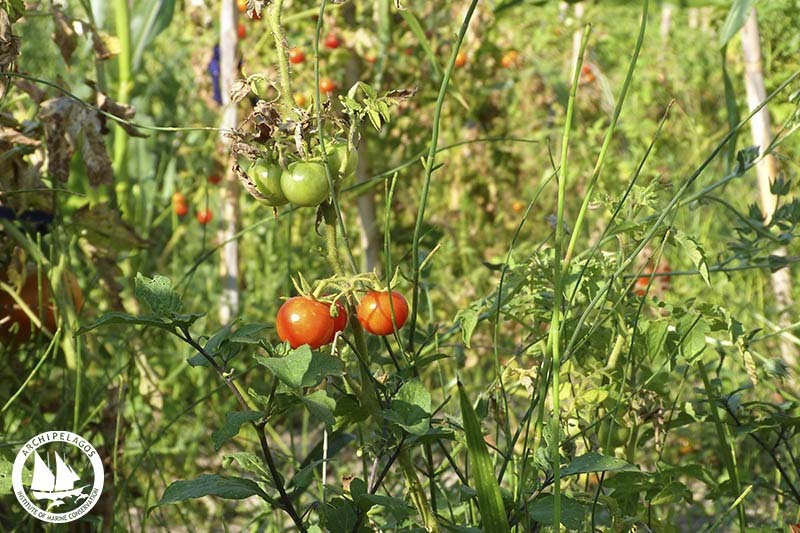 If your soil is poor, you can selectively add the nutrient that is lacking from your soil for the specific crop you are growing in place of adding chemical fertilizers. On the basis of this principle, the Archipelagos laboratory team offers free analyses of soil quality for farmers who are also advised of the nutrient content of their soil and of natural methods of replenishing any nutrients that are missing. Our laboratory provides analyses of soil samples for the following parameters: Ammonia, calcium, chloride, free chlorine, cooper, iron, pH, magnesium, manganese, nitrate, nitrite, phosphate, phosphorus. Archipelagos conducts research on pesticide residues in order to assess environmental effects of the use of pesticides and herbicides in farming practices and to inform consumers and farmers about these effects. Using the results of our analyses, we create awareness campaigns that explain the health hazards of pesticides and encourage farmers to choose organic methods in place of chemical agents. 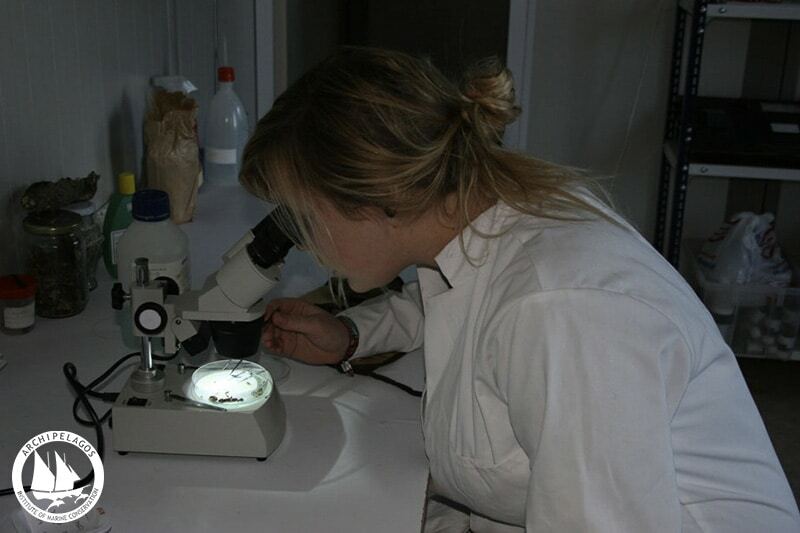 Our laboratory team collects samples from olive groves, vineyards, vegetable gardens and greenhouses. Samples are collected and analyzed from the main crops, the produced goods (e.g. wine and oil), the surrounding vegetation growing on the ground and the soil. 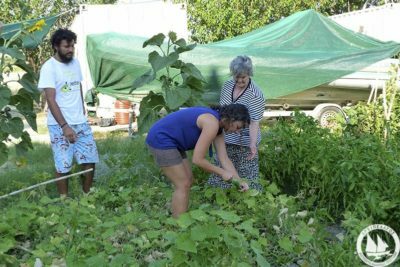 In recent years there has been a slow but steady shift towards organic farming by people who live on the islands. Nevertheless, a lot of work is still needed for progress to be made on a large scale. Archipelagos’ research and conservation projects can be successful only if they are known, understood and believed in by the local communities and the wider public. Our media and public relations team creates posters, leaflets, animations and documentaries as well as uses social media in order to ensure our success. Working closely with Archipelagos researchers and volunteers, the team shows the unique nature of the Aegean Sea and islands to the world. Creating press releases for newspapers, internet, television and radio. 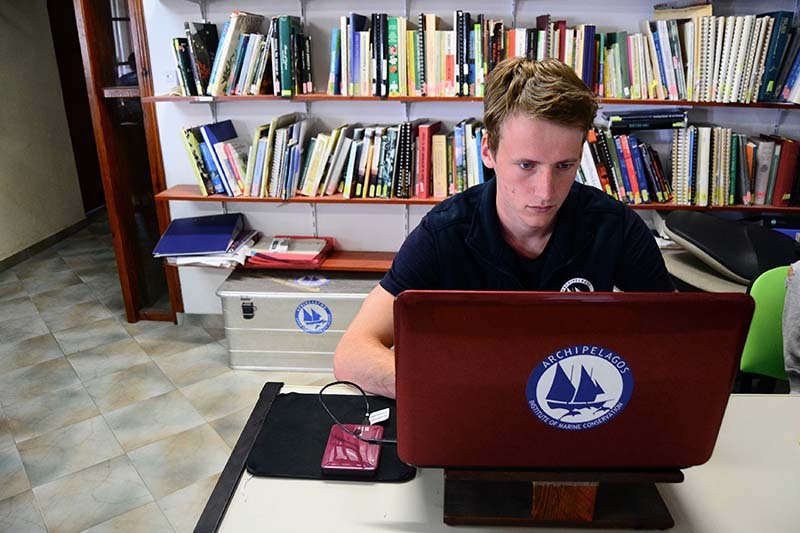 Establishing new social network profiles and using them to promote Archipelagos’ work and launch awareness campaigns. Extending Archipelagos’ partnerships by contacting international universities, institutions and embassies. Designing and preparing fundraising campaigns and events. Creating scientific illustrations of the species of the Greek seas and islands, both marine and terrestrial. Creating illustrations to be used for informational material in related conservation activities with the aim of raising public awareness. 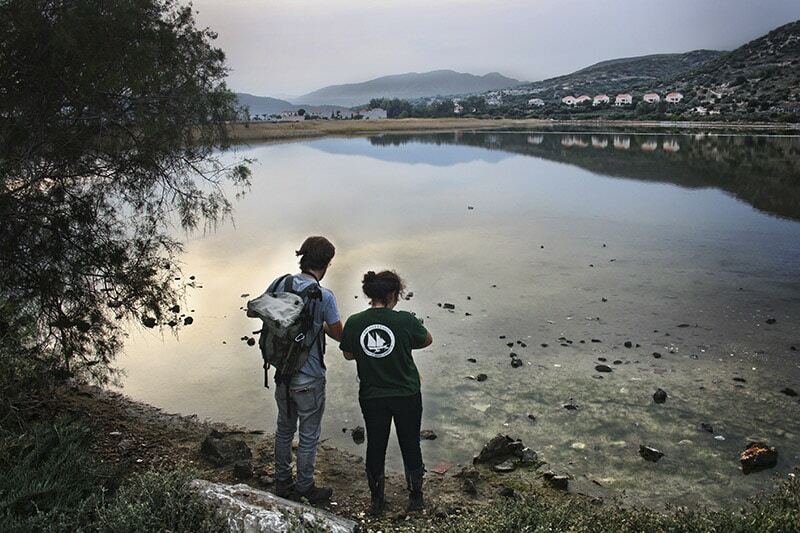 Designing posters, leaflets, booklets and material for lectures which present the natural environment of the Aegean to raise awareness regarding local biodiversity and threats to it. Working closely with other members of the media team to integrate illustrations into posters. 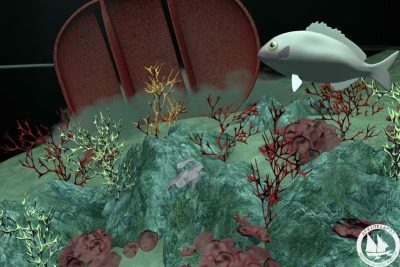 Making animations about marine and terrestrial biodiversity of the Aegean ecosystems and the factors which threaten them. 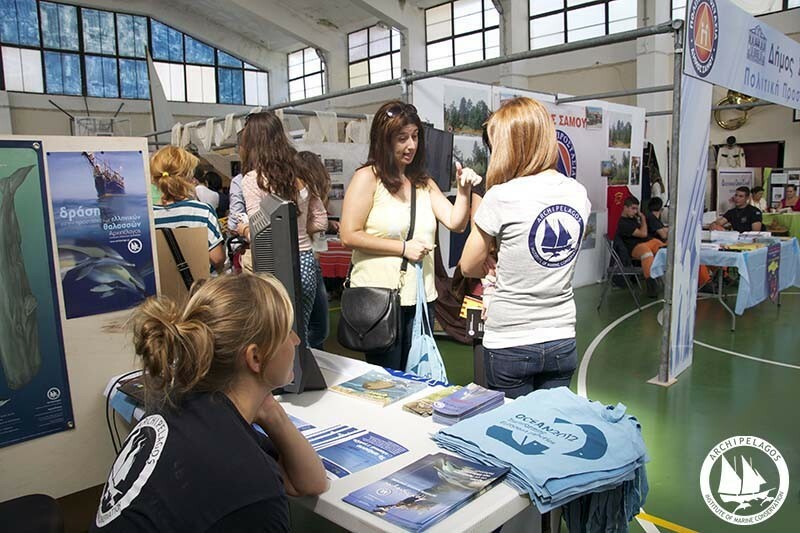 Participating in awareness campaigns at a local, Greek and European level. 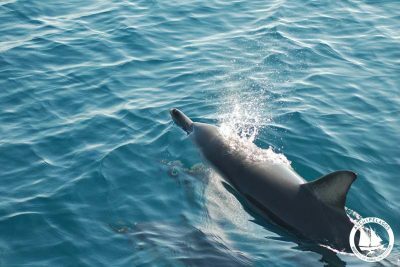 Wildlife and nature photography of species found in the eastern Aegean. Landscape photography on the islands of the eastern Aegean. 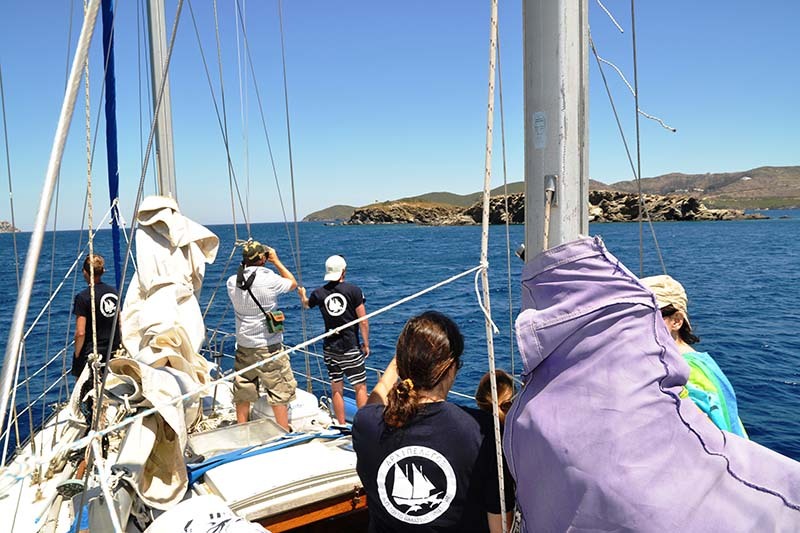 Photographing the research activities carried out by Archipelagos’ teams. Working with members of the research teams and helping them with basic photography and editing techniques. 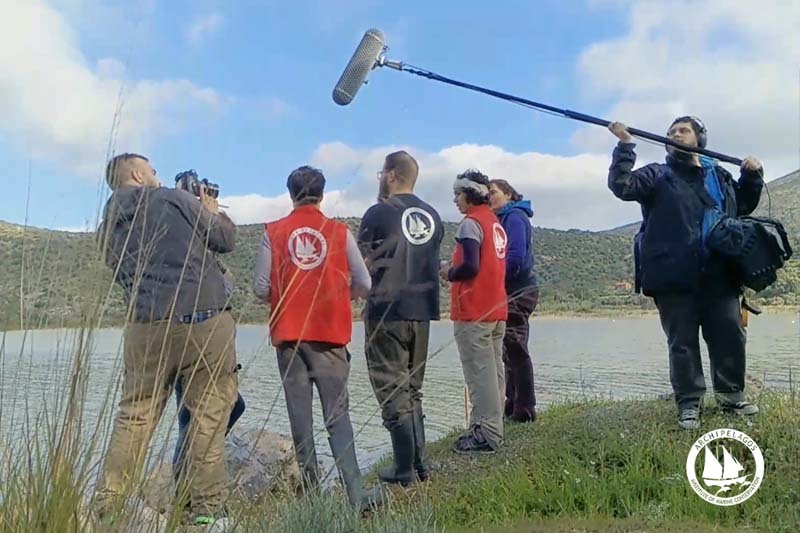 Filming the research activities carried out by Archipelagos’ teams. Wildlife, nature and landscape filming on the islands of the eastern Aegean. 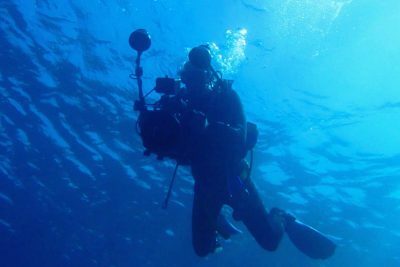 Video journalism covering the issues related to biodiversity and factors impacting the natural environment. Editing underwater videos using the archive material. 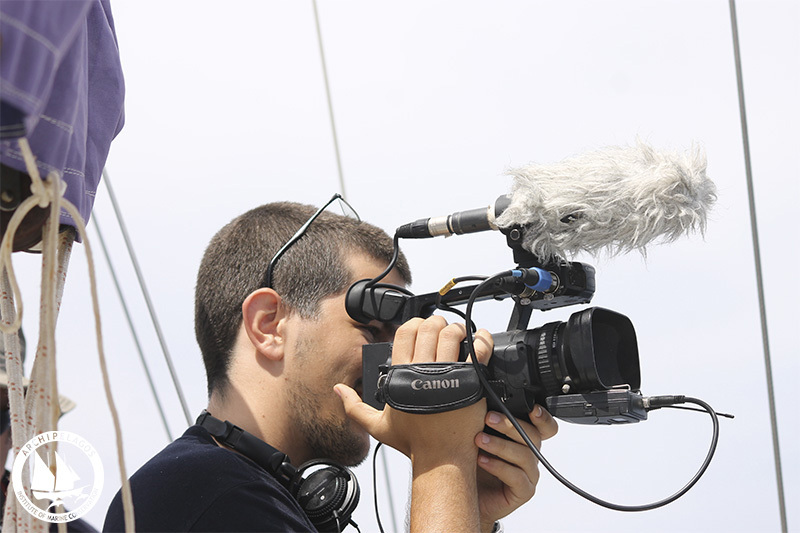 Filming and editing material for different media (TV, Internet). 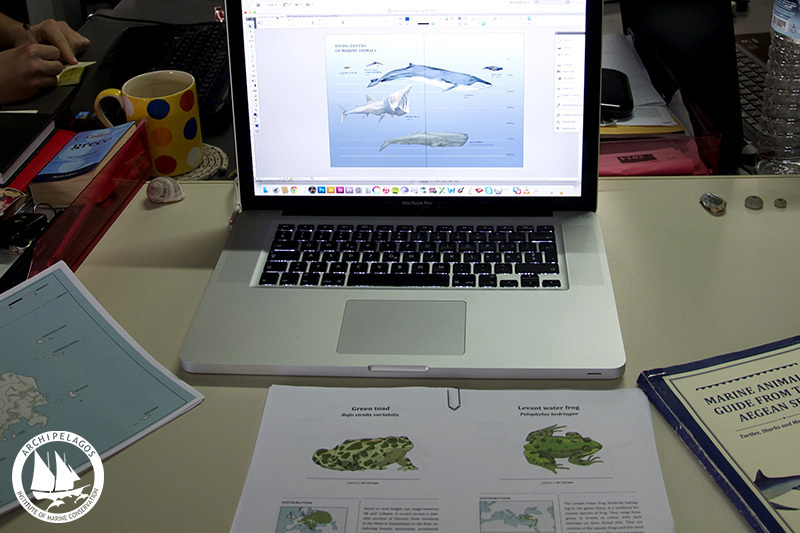 Producing promotional, awareness and educational material about the local biodiversity and threats to it. Working with members of other teams to incorporate various forms of media into the production process, e.g. illustrations or graphic designs. Preparing lesson plans, presentations, educational games and other teaching aids for children of different ages. Cooperating with different Archipelagos teams to create and develop teaching packs. Visiting local schools to present teaching material and implement lesson plans. Participating in fieldwork in order to log tracks, locations and points of interest on a GPS device. 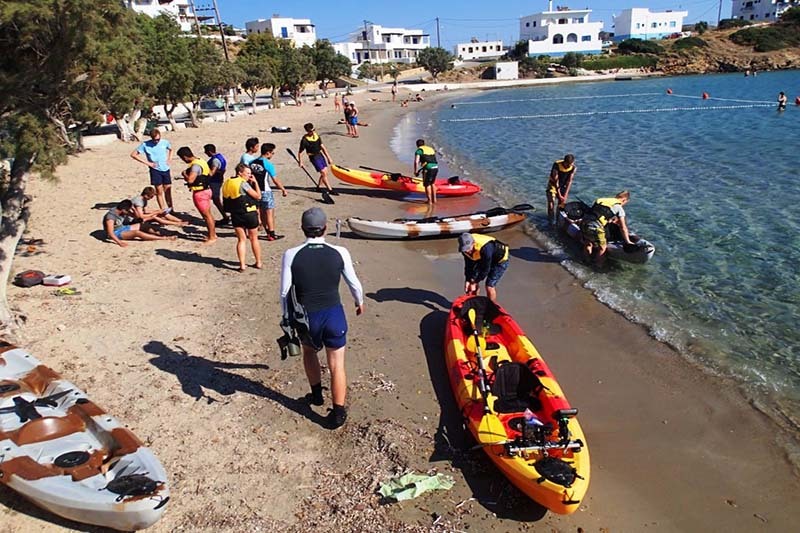 Boat and kayak-based surveys for mapping Posidonia oceanica and coralligene reefs. Creating maps for various in-house and external projects, using both raw and secondary GIS data. 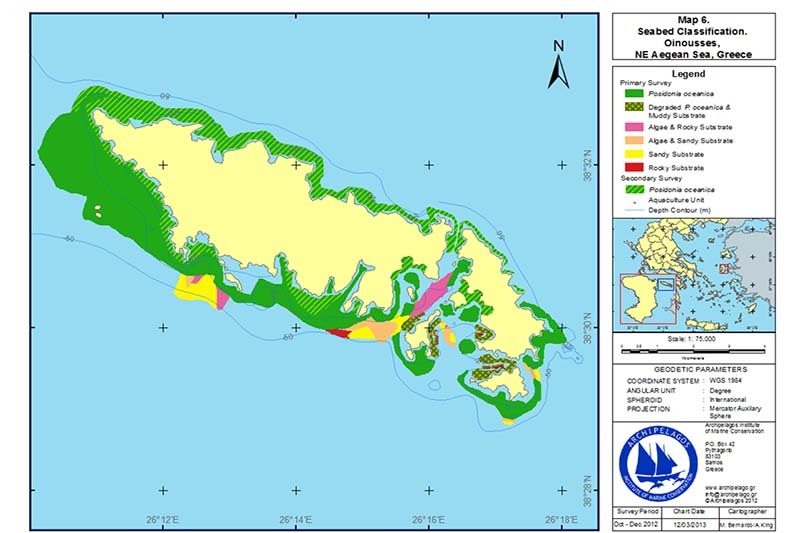 GIS analysis of both marine and terrestrial habitats and ecosystems. Collecting additional GIS information from external sources. 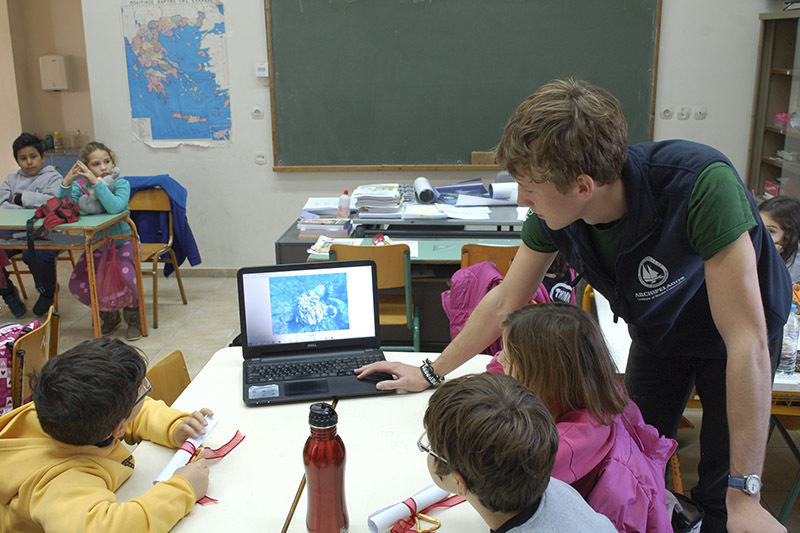 Creating “participatory GIS maps” based on the data collected from local communities. Launching a campaign e.g. for the promotion of reusing cooking oil waste for producing biodiesel. Carrying out general research regarding the application of renewable energy sources for the island communities, using the new research base in Lipsi island as a study site where numerous renewable energy and desalination applications will be used to provide power and water. Establishing contacts and partnerships with researchers in Greece and the rest of Europe in order to identify environmental impacts of large scale renewable energy developments. 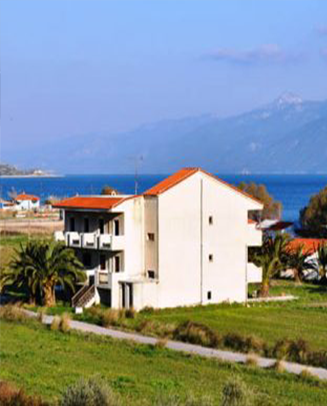 Research into energy self-sufficiency using the islands of the eastern Aegean as an example and promoting sustainable, efficient application of renewable energy technologies. 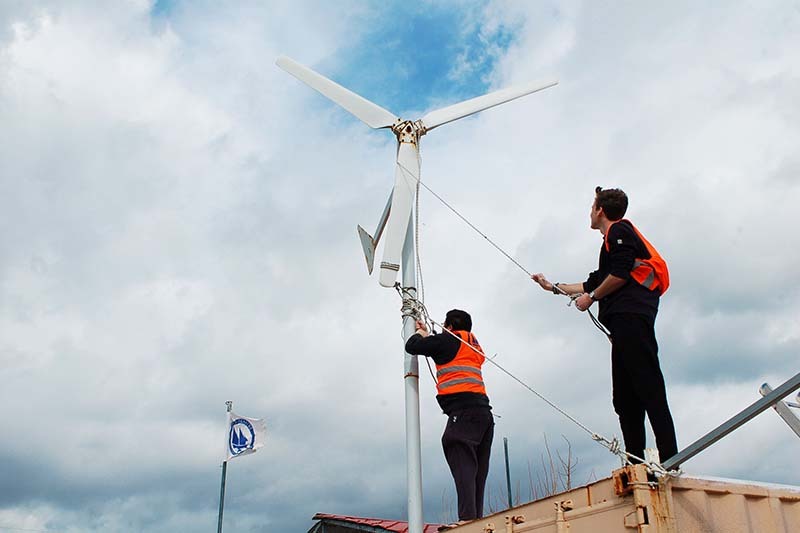 Participating in conservation activities and creating informational material with the aim of raising public awareness regarding the use of small-scale renewable energy sources. Designing and implementing an intranet website for the ease of information and file sharing. EU fisheries legislation and Illegal, Unregulated and Unreported (IUU) fisheries. 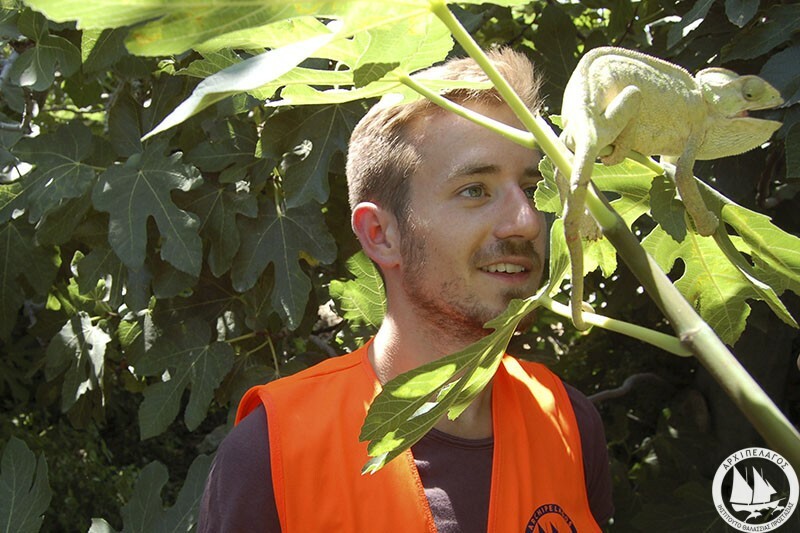 Combating the illegal trade of endangered plants and animals. Combating environmental crimes, pollution incidents and the destruction of natural habitats and wildlife. 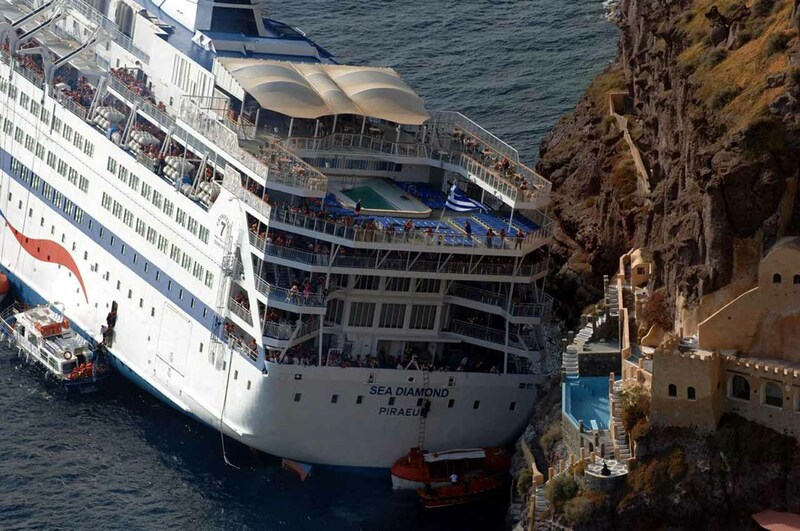 Shipping, ship traffic and maritime accidents. Creating, implementing and managing protected areas. Organizing the participants’ files and documents. Creating standardized protocols for storing all paperwork. Organizing various material generated during Archipelagos’ research and conservation activities. Helping with the general upkeep of Archipelagos’ bases and stations, as well as research work as required. Correspondence and other administrative tasks. Preparing lesson plans, presentations, educational games and interactive activities, as well as other teaching aids for children of different ages and for teachers. Environmental education and awareness raising activities are tailored to address various target groups, in the numerous islands where Archipelagos is active. 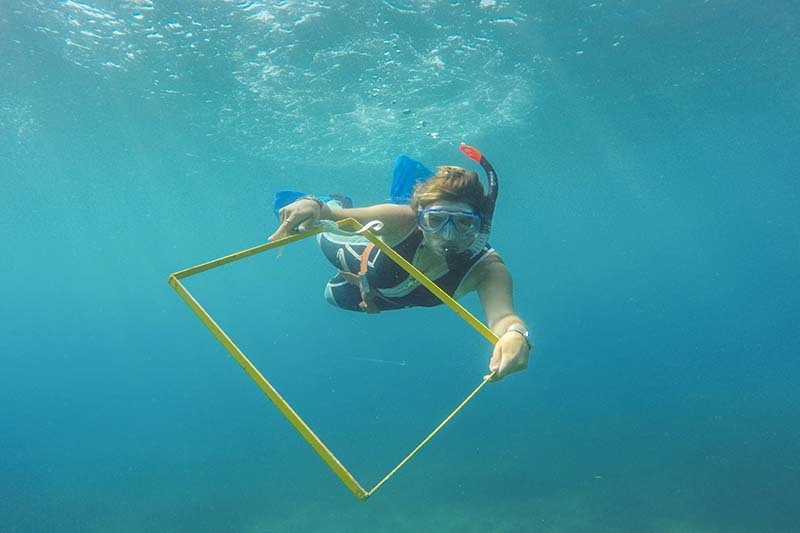 The aim of these activities is the engagement of the local communities in several aspects of marine and terrestrial conservation and sustainability, including wildlife conservation, awareness of microplastics in the environment, and protection of the natural environment. Η πρακτική άσκηση διαρκεί συνήθως 3-12 μήνες. Οι ερευνητικές βάσεις και τα σκάφη του Αρχιπελάγους βρίσκονται στο ανατολικό Αιγαίο, στο νησί της Σάμου, στους Λειψούς, την Ικαρία, τη Λέρο, το Μαράθι και τις Οινούσσες. 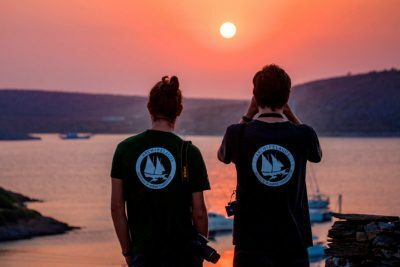 Οι φοιτητές και οι απόφοιτοι περιβαλλοντικών επιστημών (βιολογία, οικολογία, χημεία, γεωπονία κλπ), αλλά και νομικής, πληροφορικής, ΜΜΕ, κινηματογράφησης, καλών τεχνών κλπ. 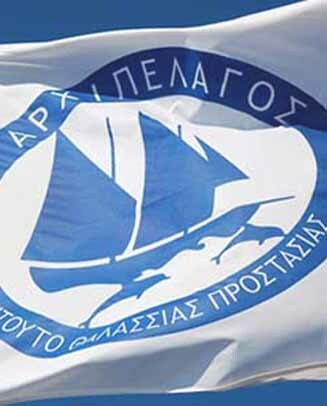 Οι συμμετέχοντες έχουν την δυνατότητα να αποκτήσουν διπλώματα κατάδυσης PADI.